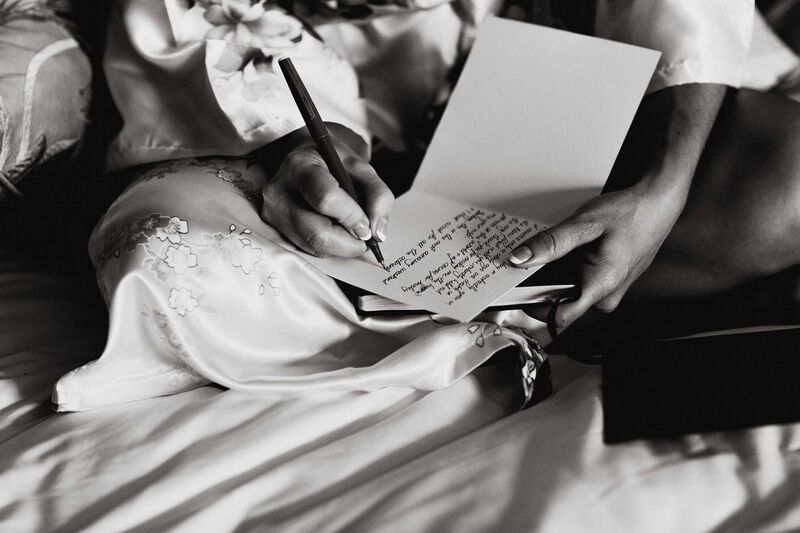 Now, this will be a long post. 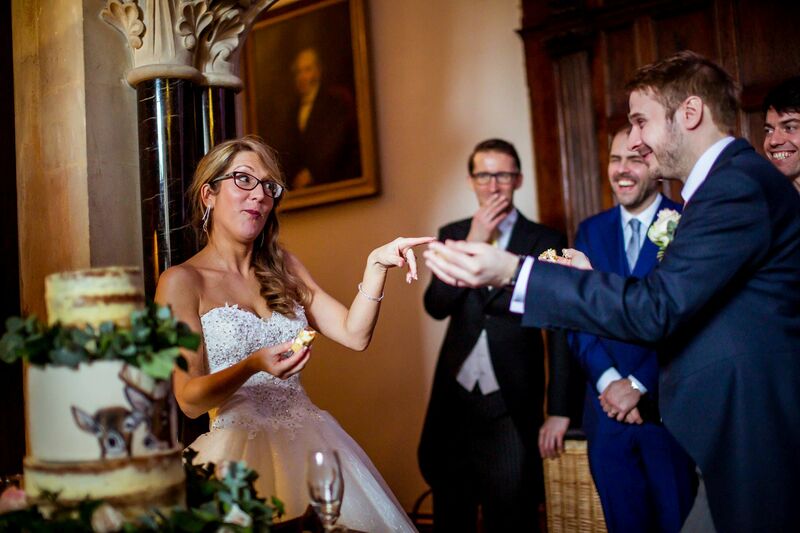 I’m not going to apologise for that one bit. 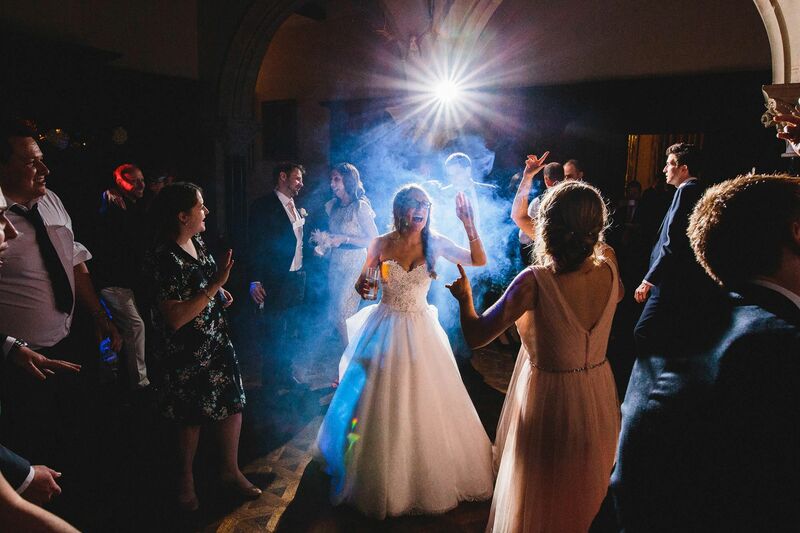 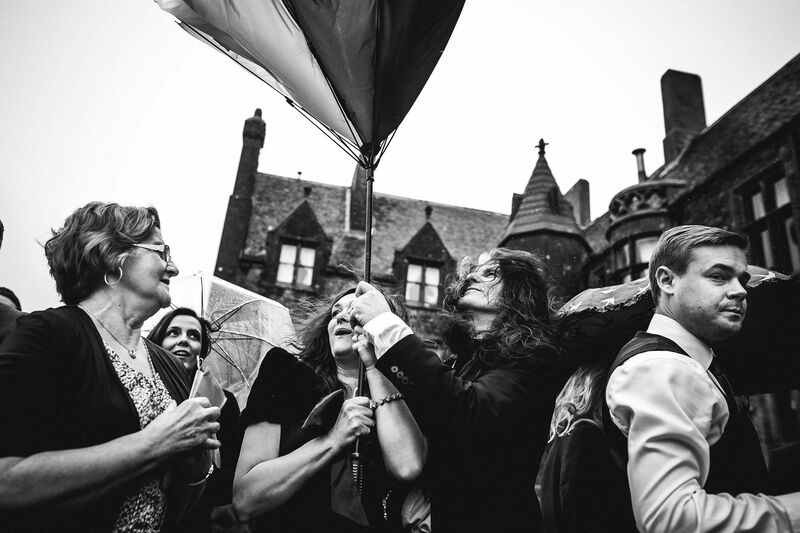 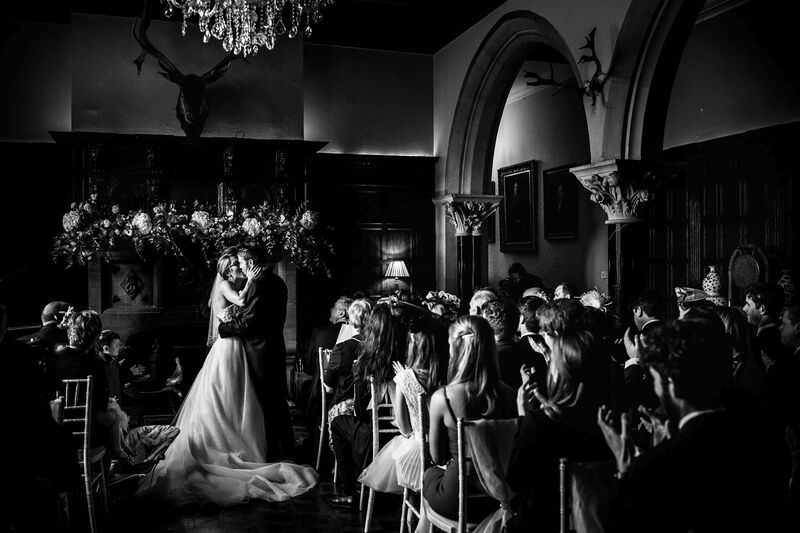 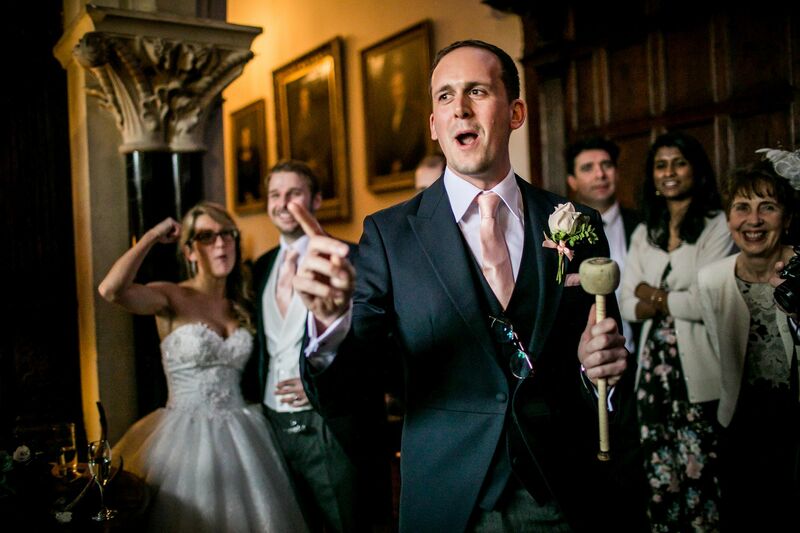 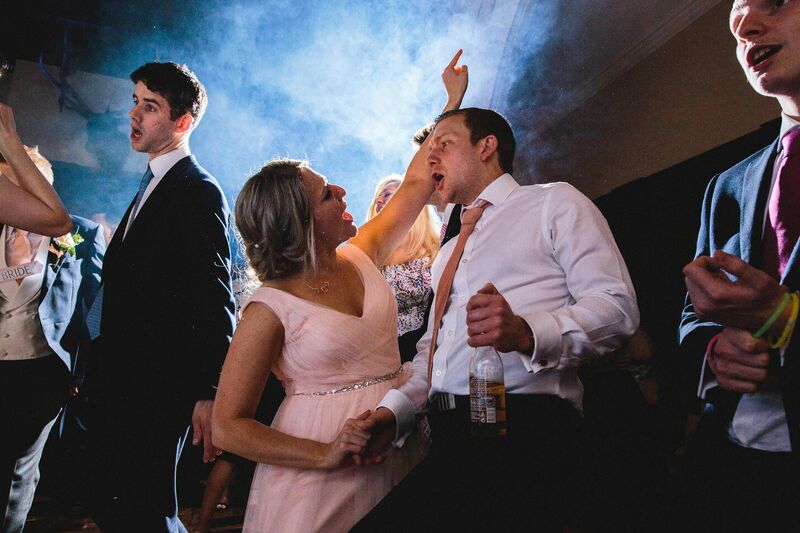 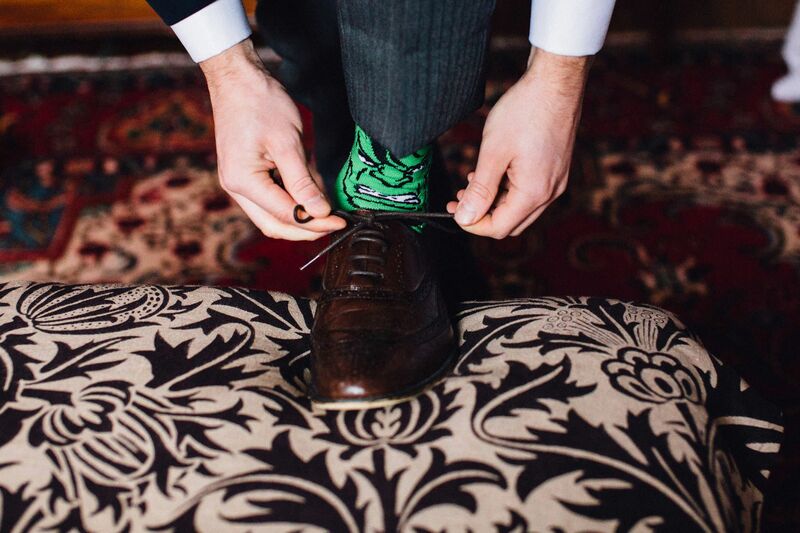 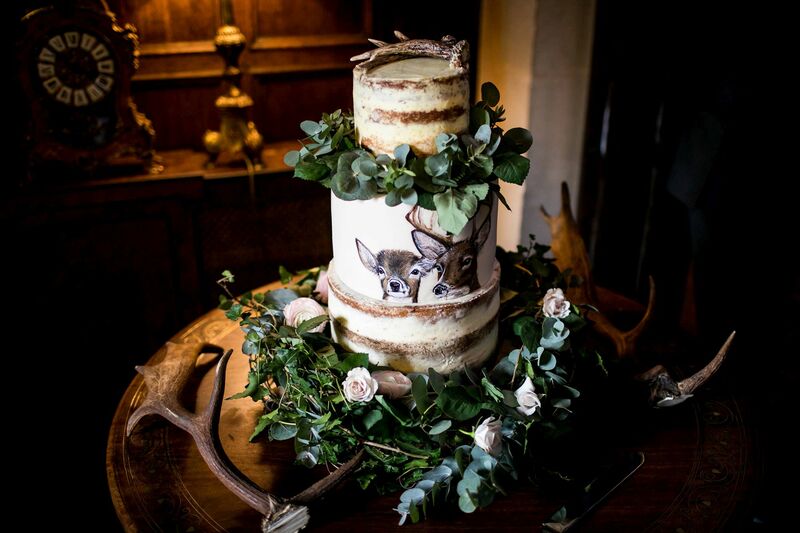 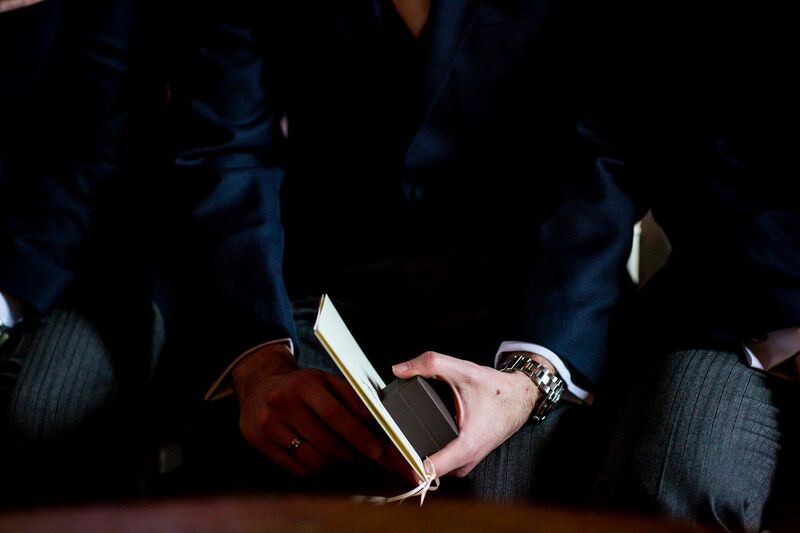 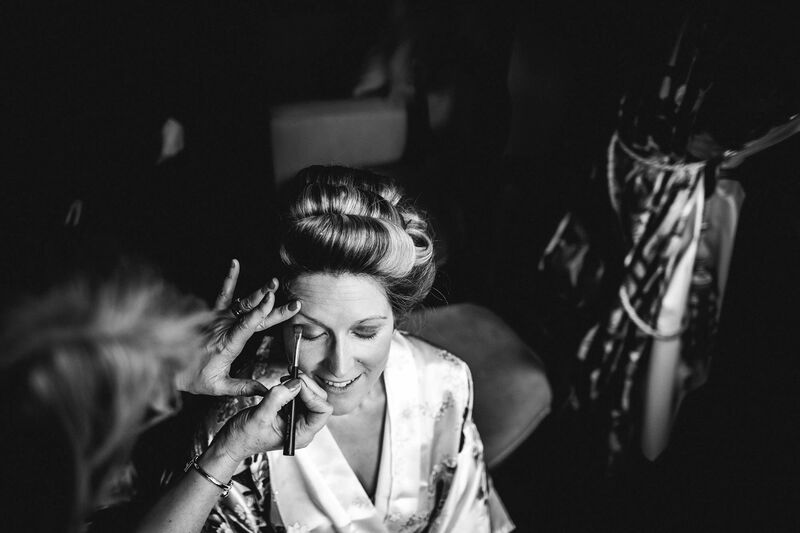 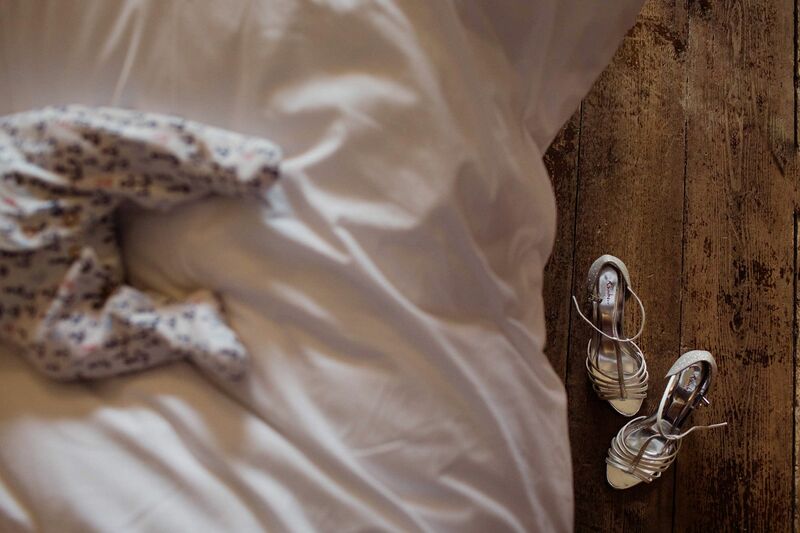 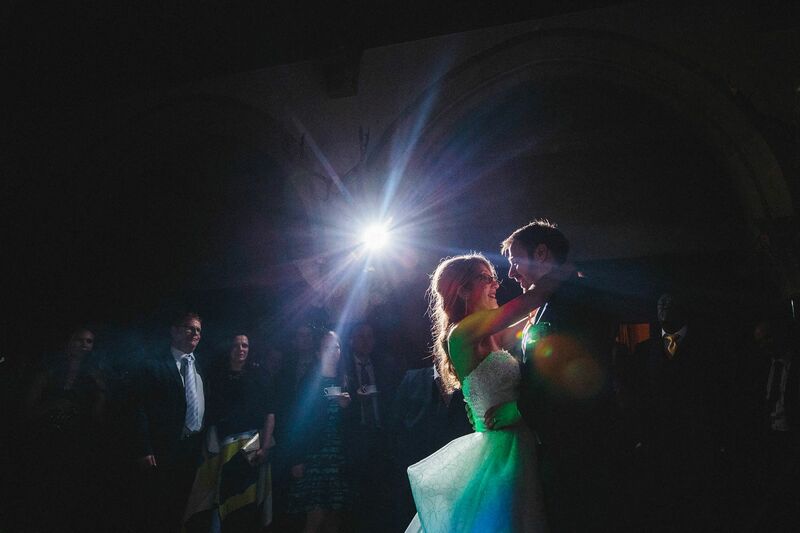 One of the best Huntsham Court Weddings this year. 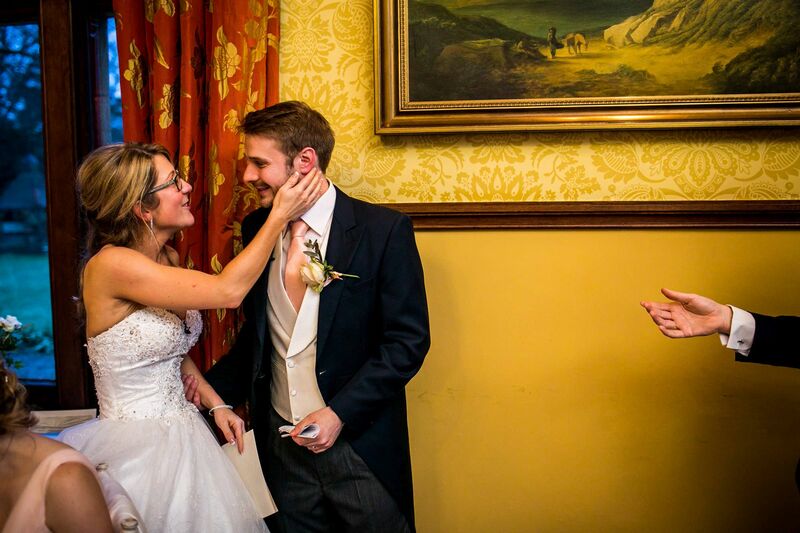 We love Bex and Gav! 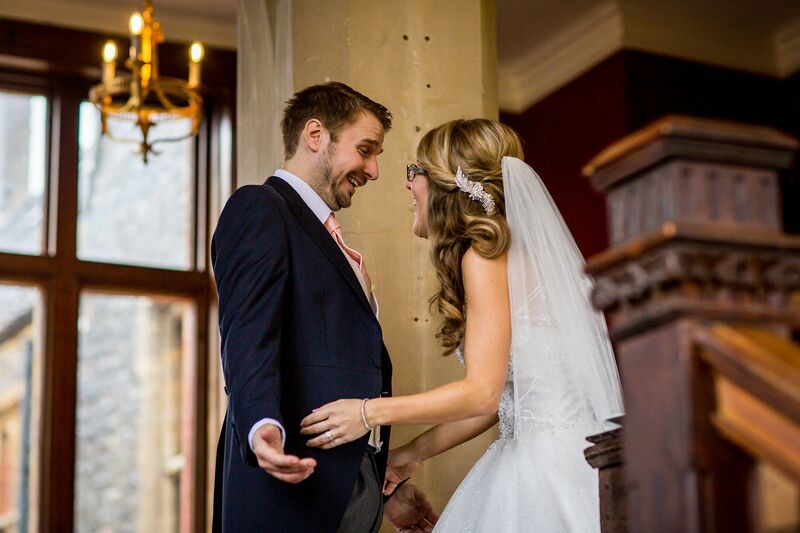 From the moment we met on Skype, Bex was excitable, Gav was horizontal. 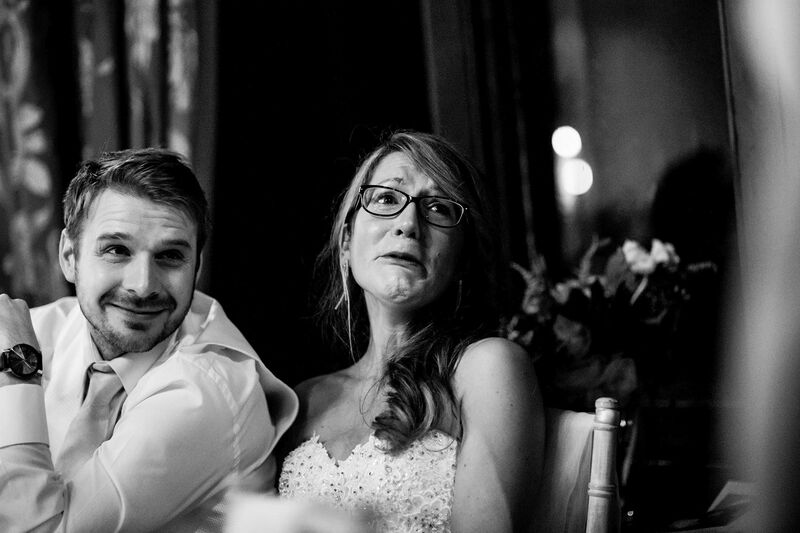 This stayed the same throughout our correspondence, and pretty much on the wedding day too. 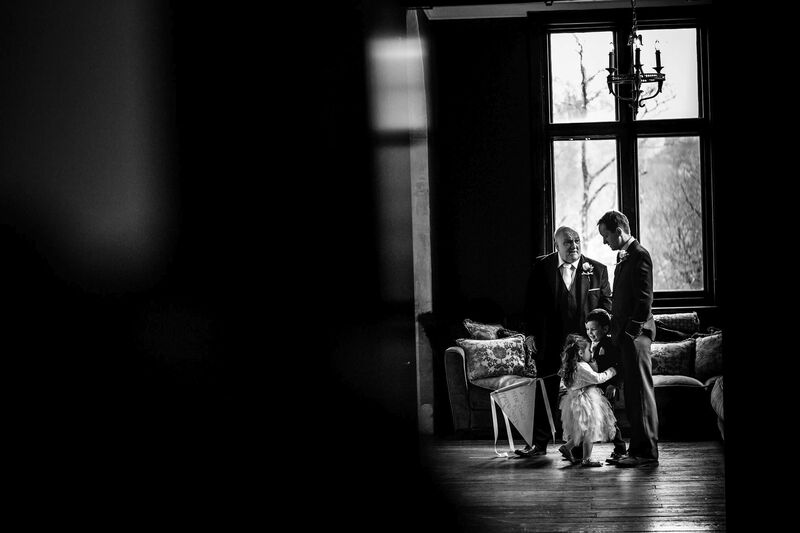 There are also a lot of black and white’s in this blog post. 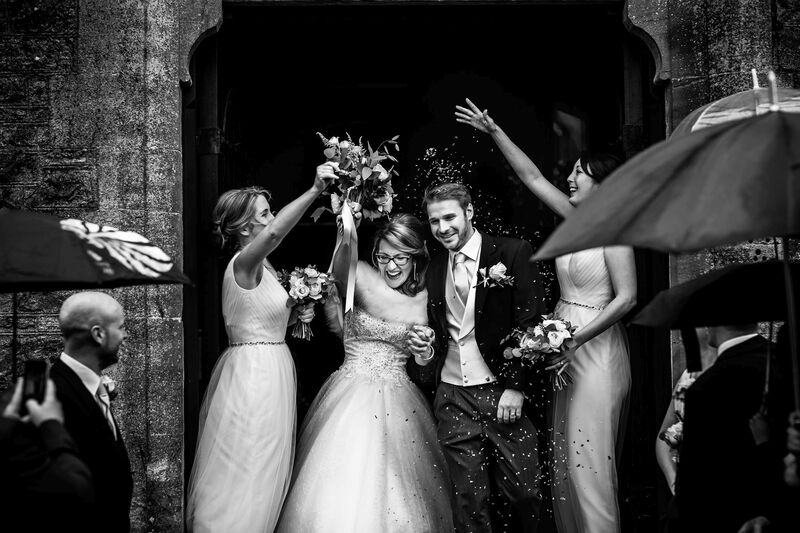 On a rainy March day, Huntsham needs black and white. 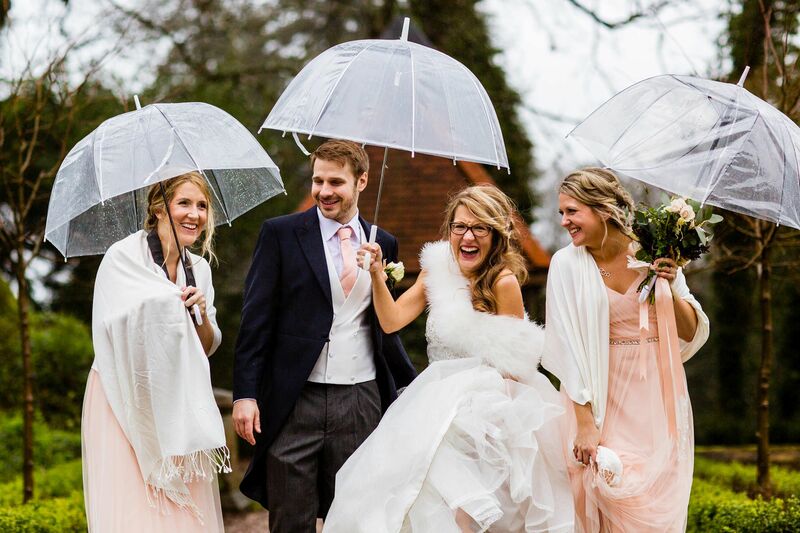 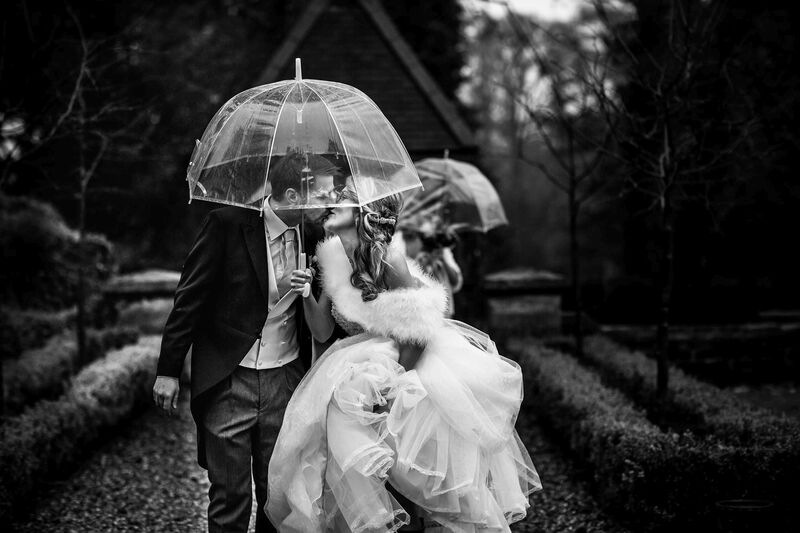 Oddly enough, I do not think of Bex & Gav’s wedding as a ‘wet wedding’ because the weather was so irrelevant I don’t think anyone even noticed, if anything it added to the atmosphere. 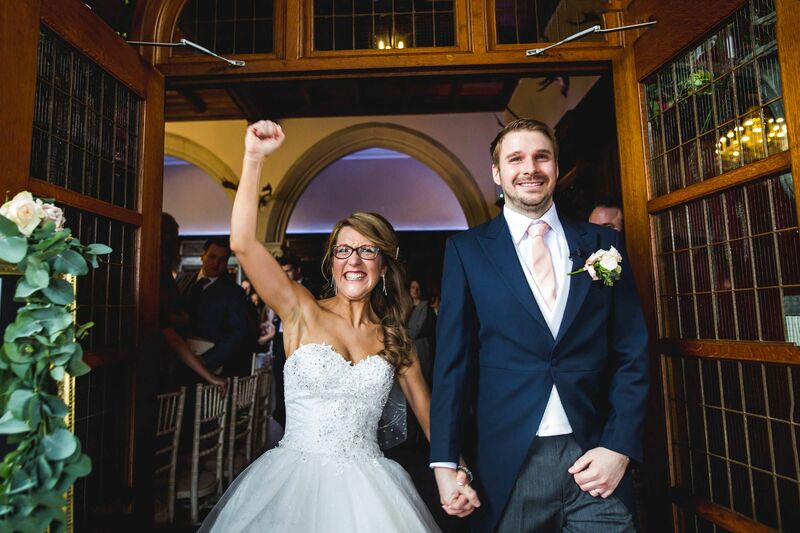 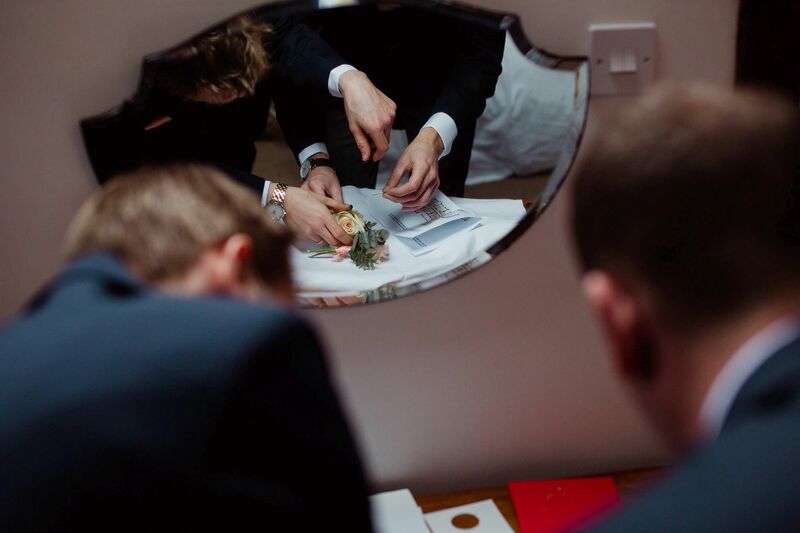 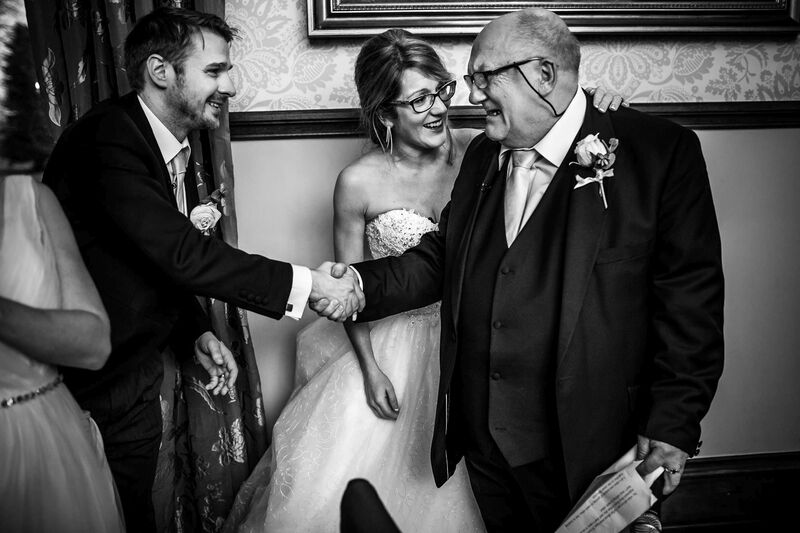 Now, I could wax lyrical about these guys and their wedding, and how we came away buzzing with that ‘we love our job’ vibe, and I may still do that but i’ll try to tone it down a little and let the images do the talking. 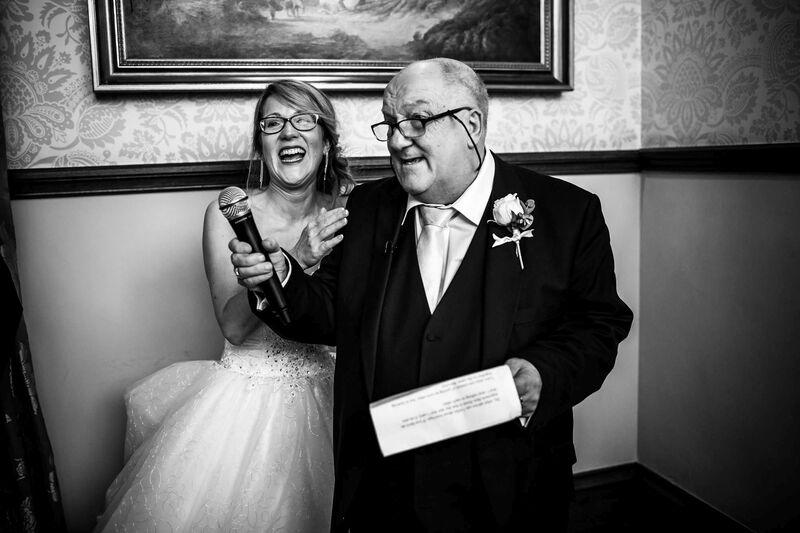 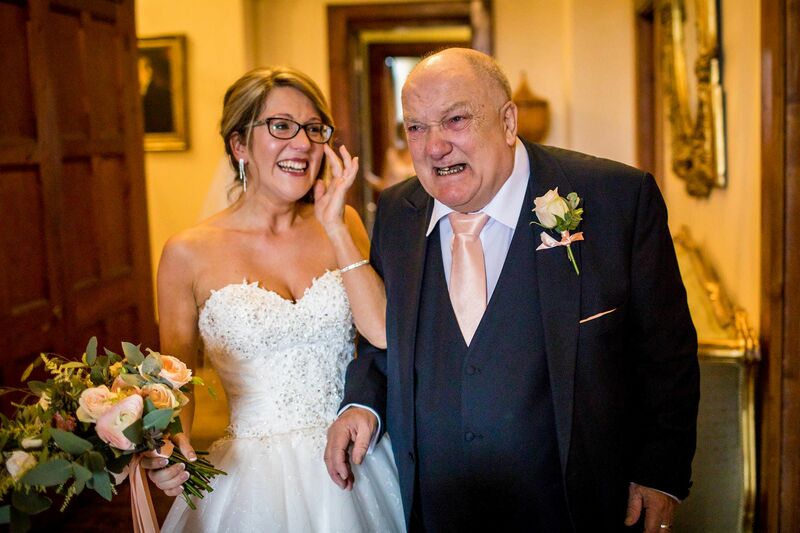 Firstly – Bex’s Dad’s reaction – level 11! 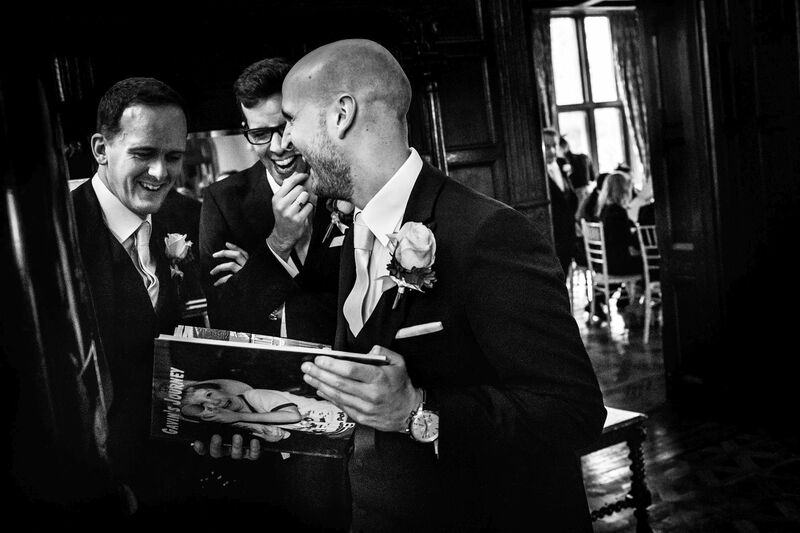 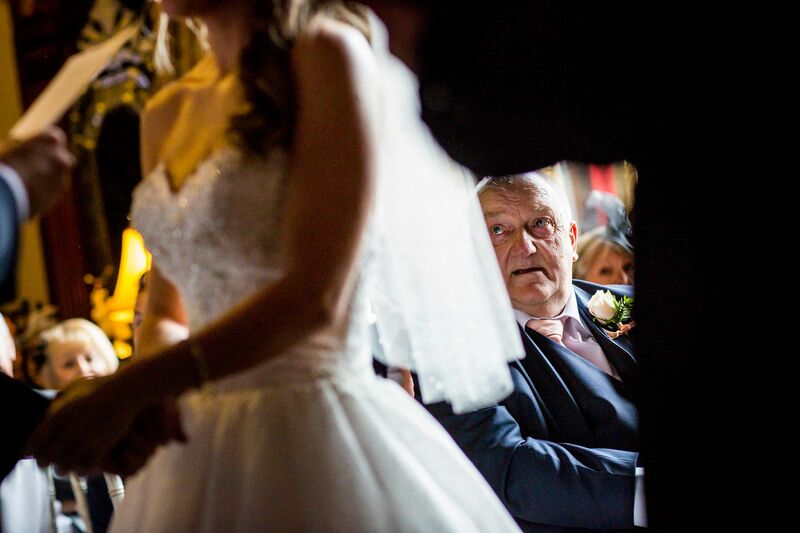 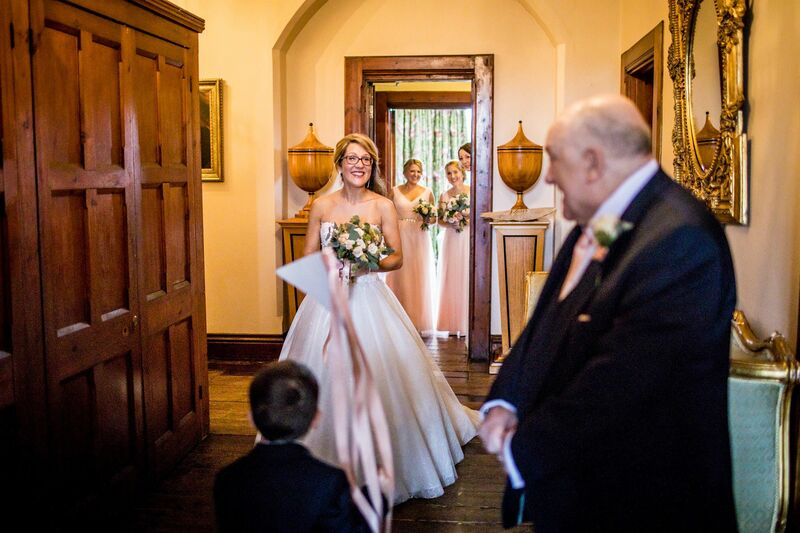 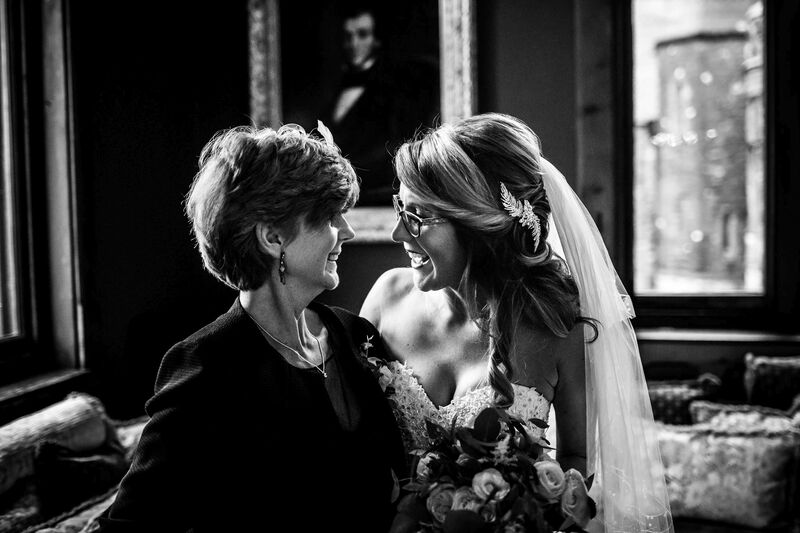 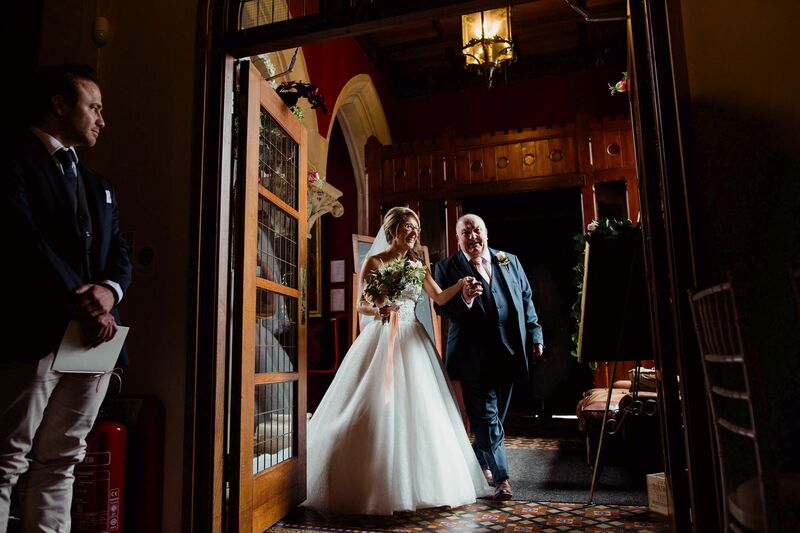 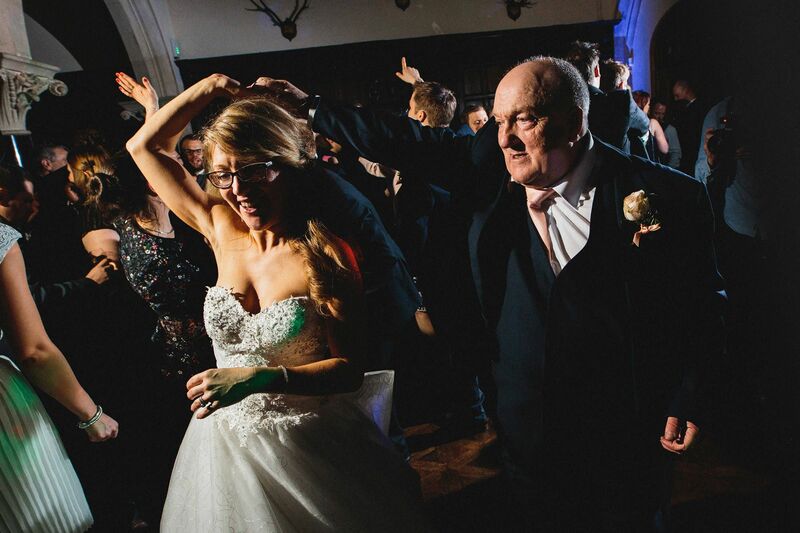 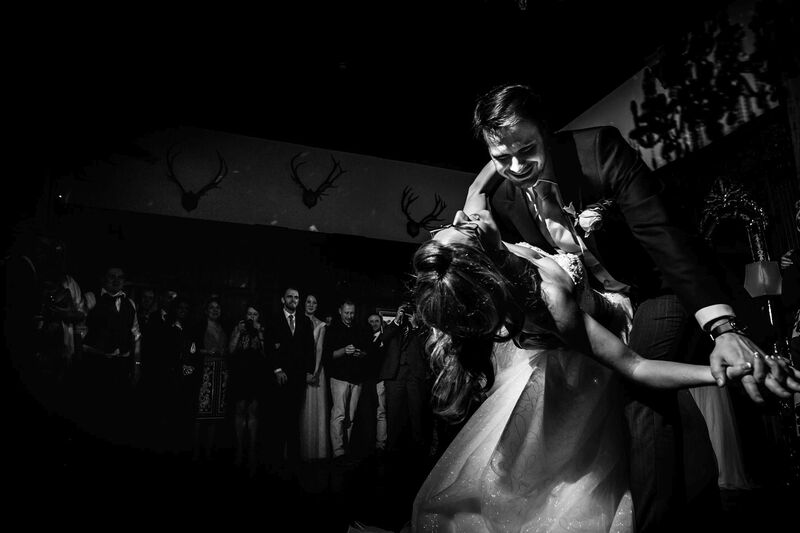 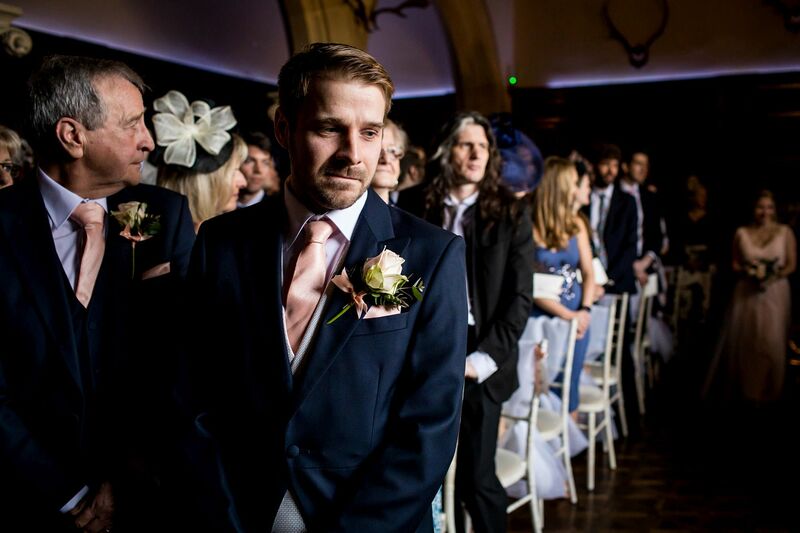 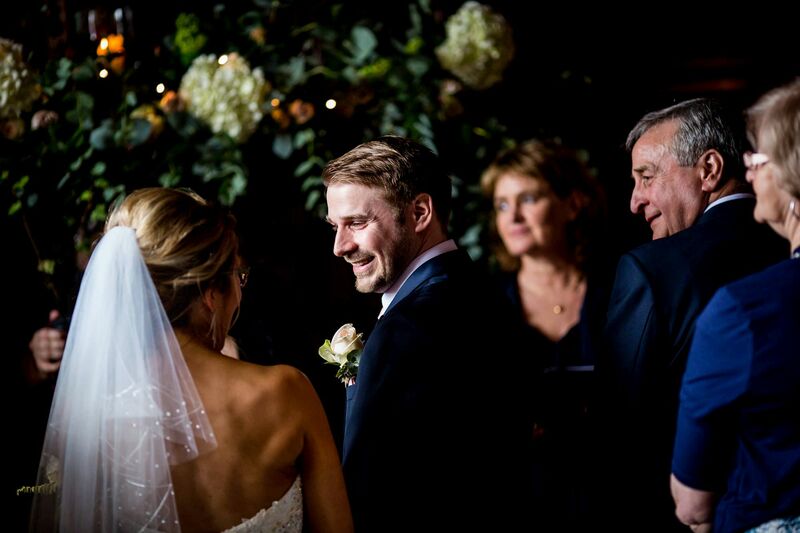 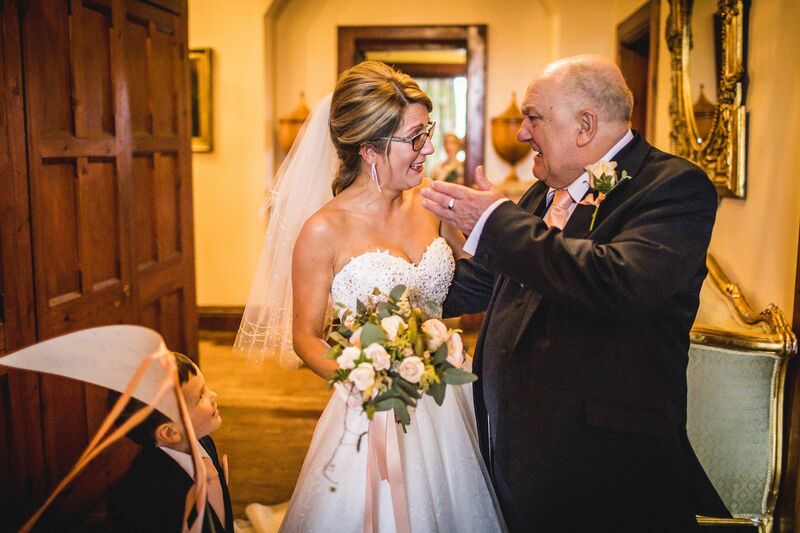 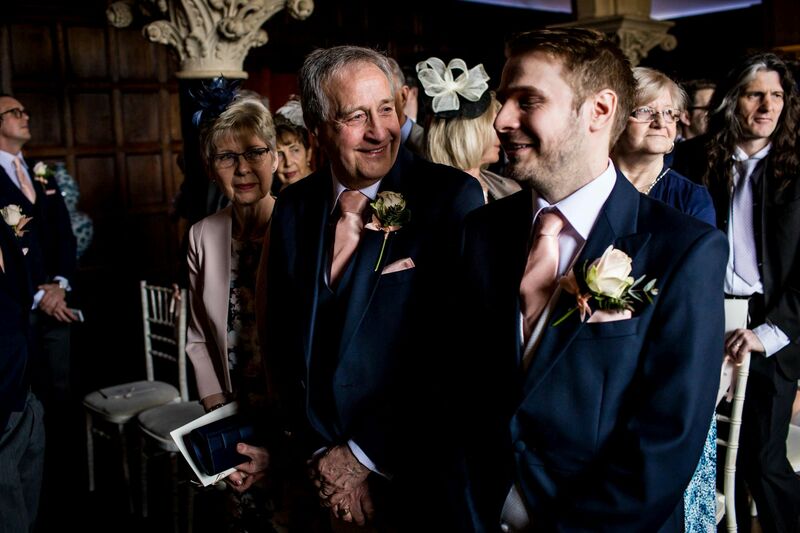 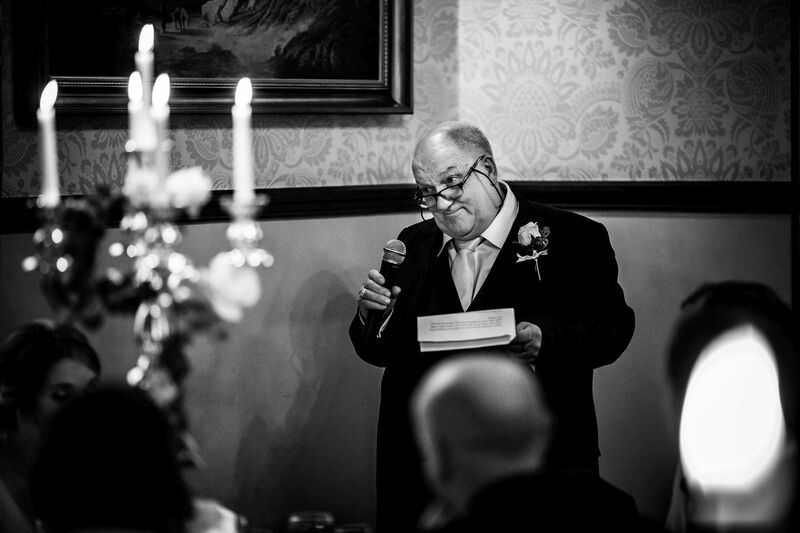 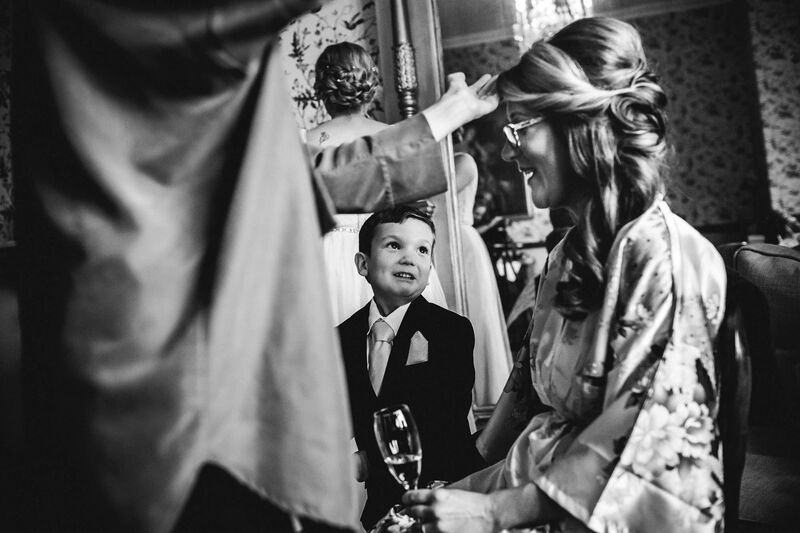 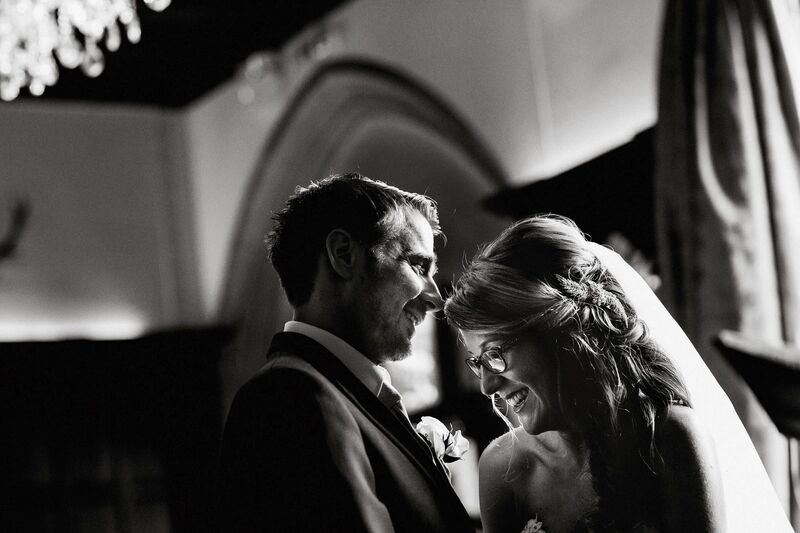 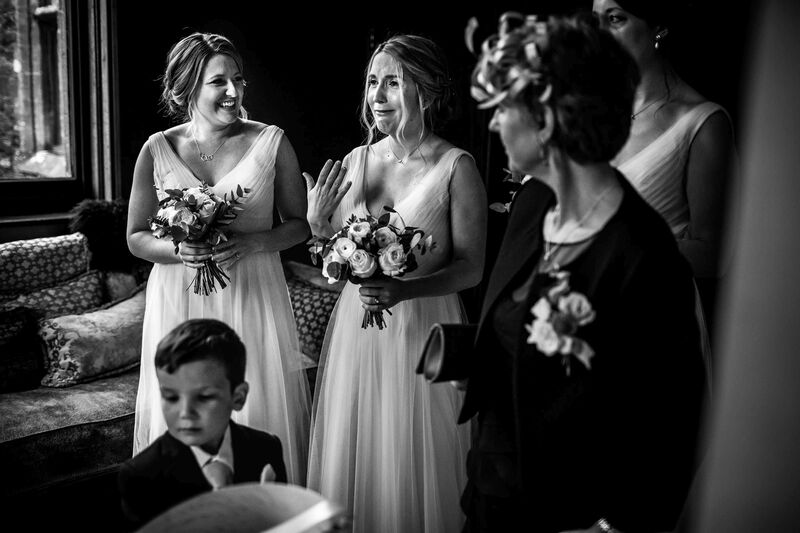 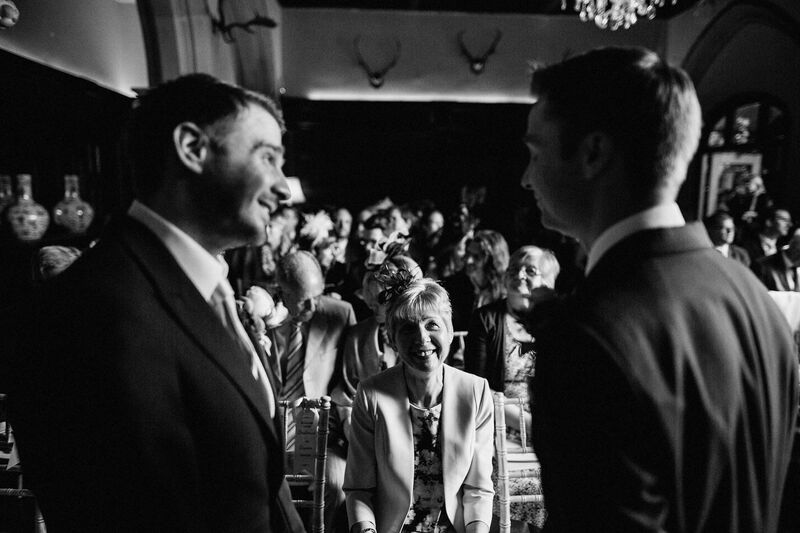 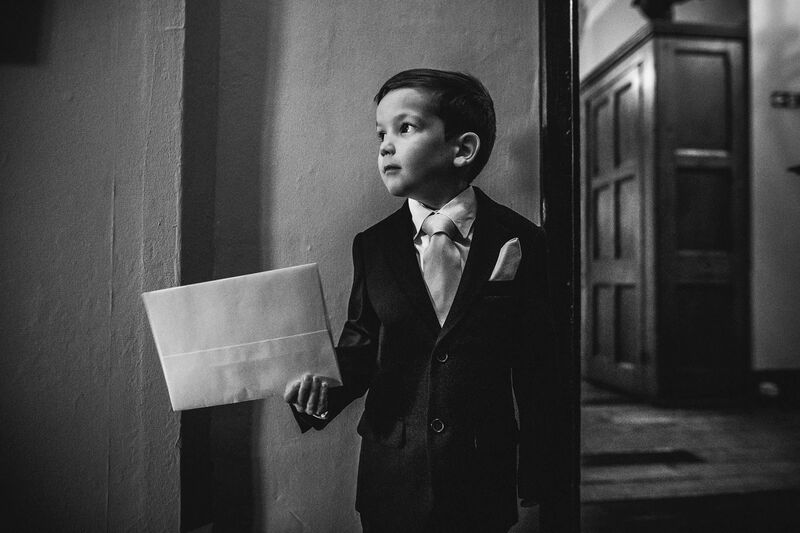 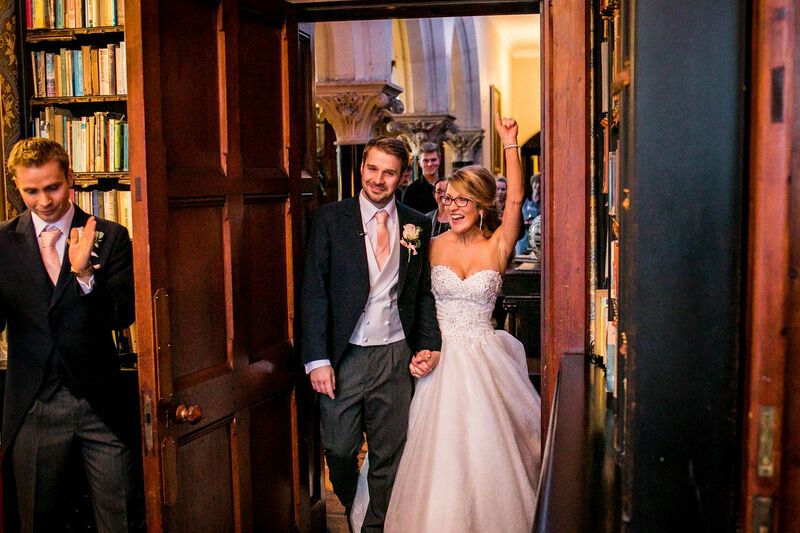 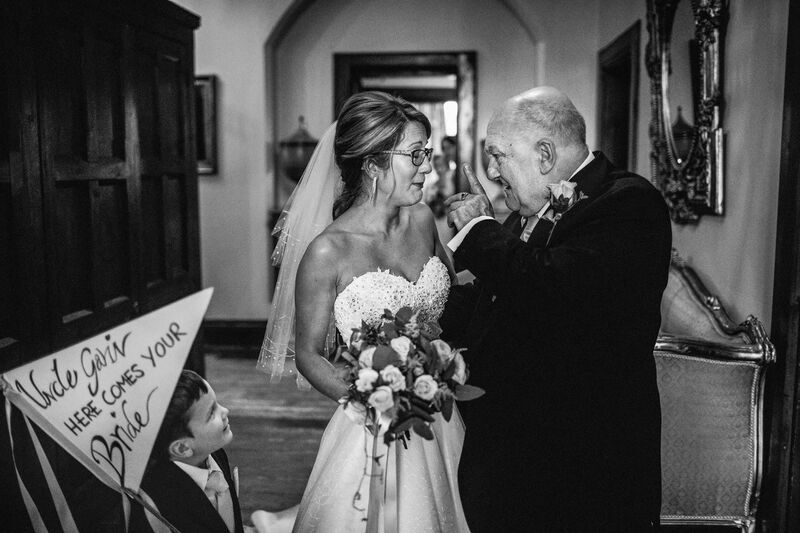 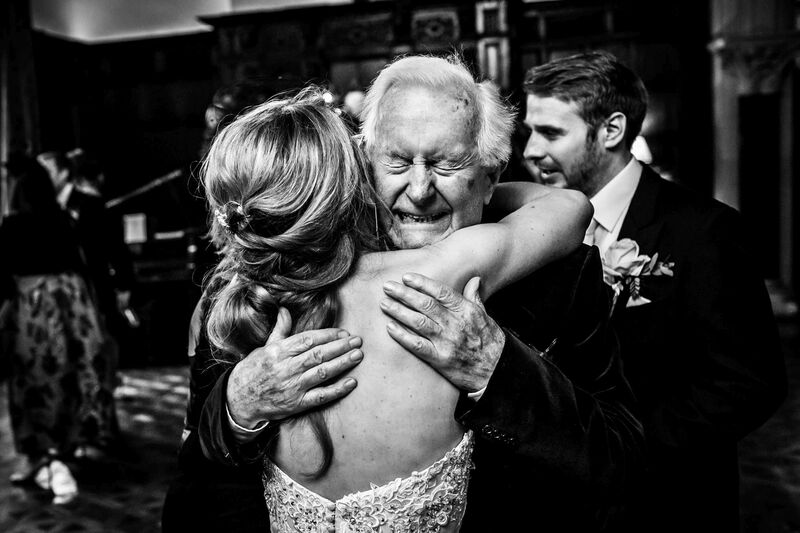 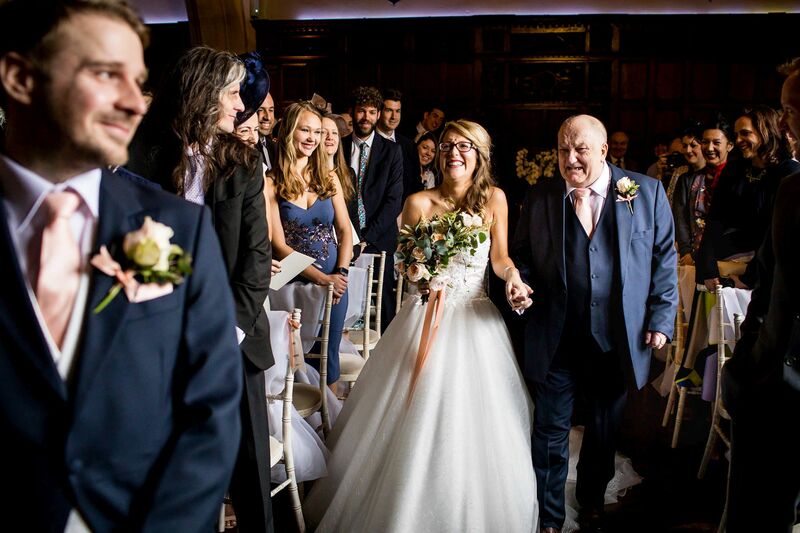 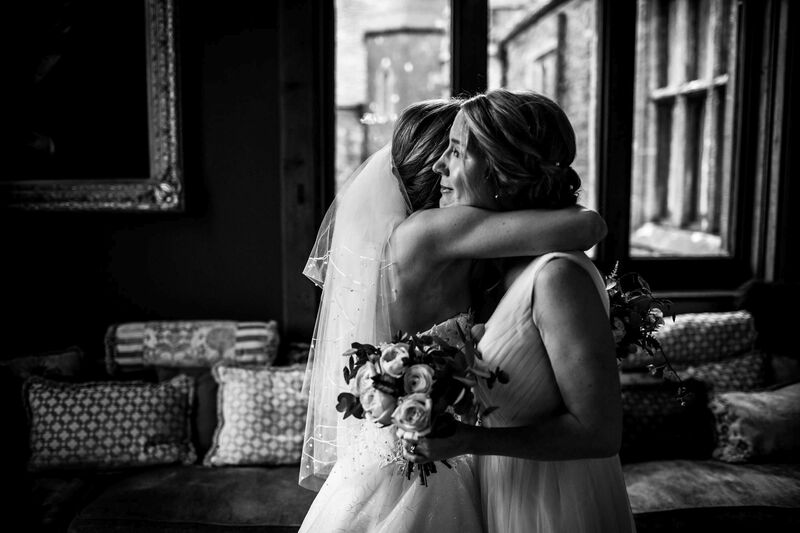 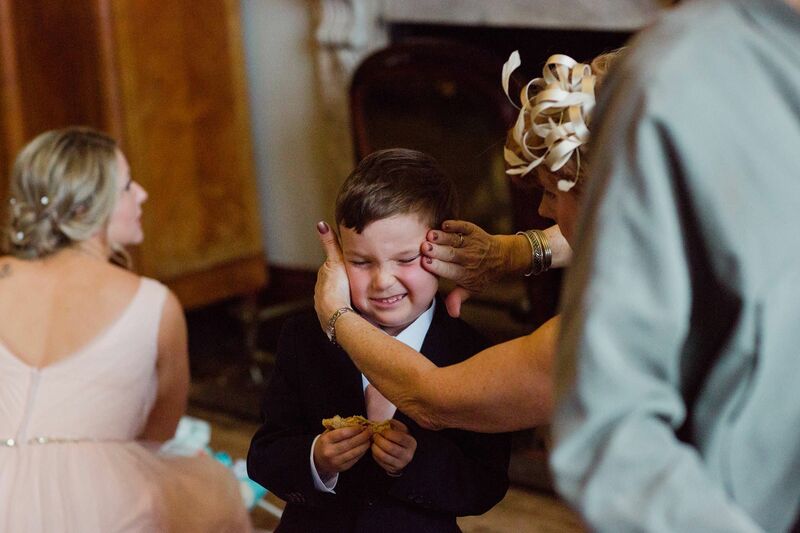 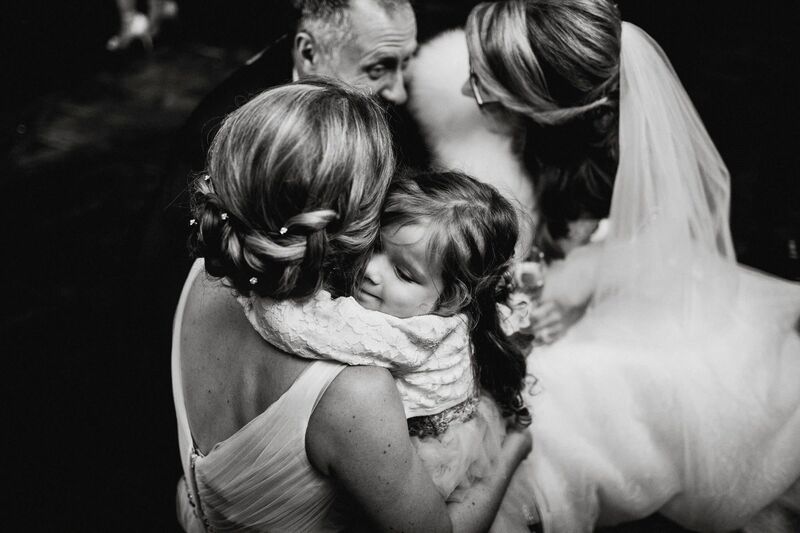 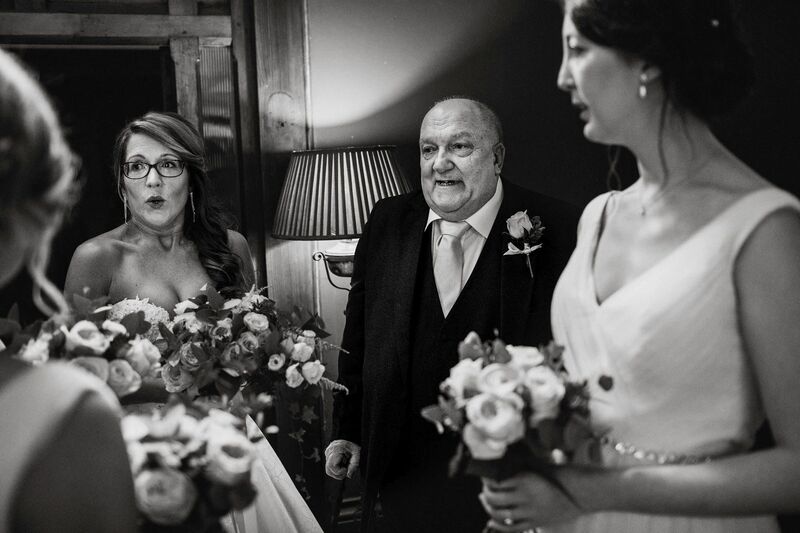 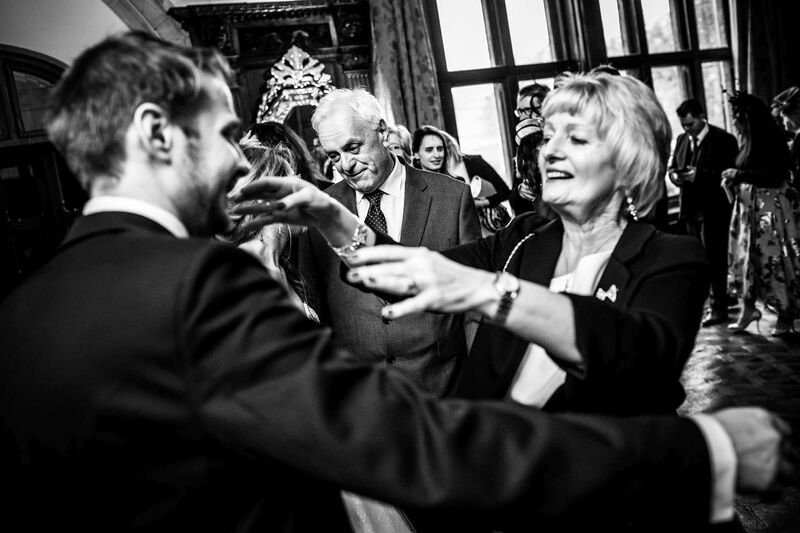 Such a touching moment to witness, and walking down the aisle the emotion was too much for him, it makes for some beautiful photos packed with emotion, just how we like them! 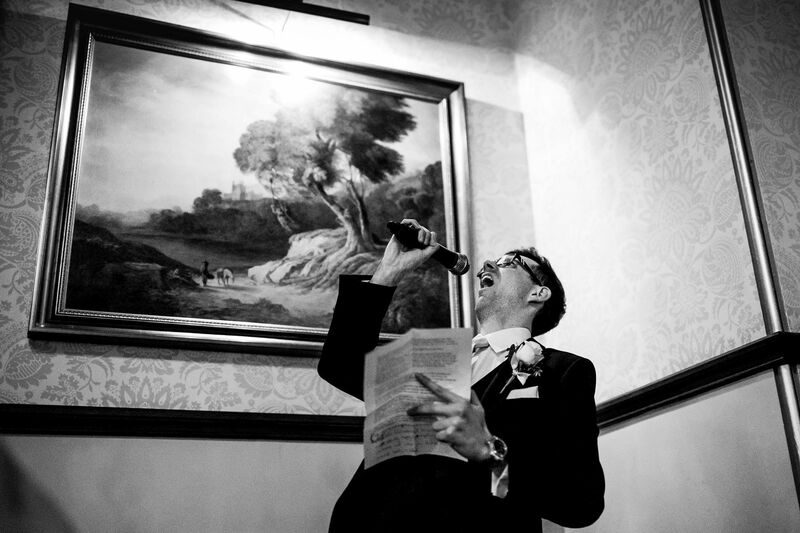 Fan, from fanfare ceremonies took the personal and emotional ceremony, some singing kinda happened? 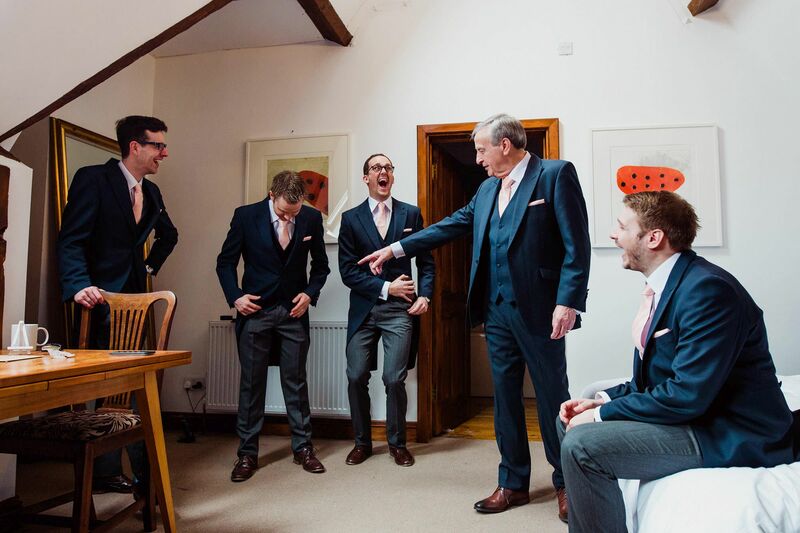 The humour of this just added to the joyous vibe. 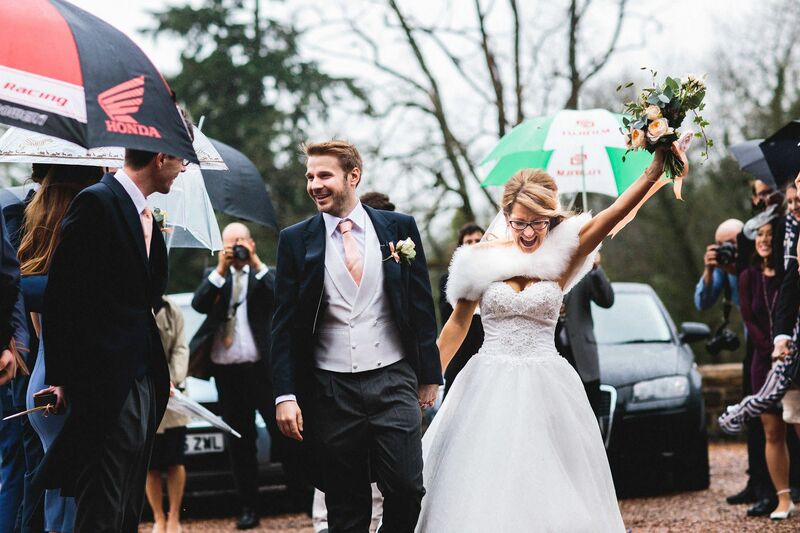 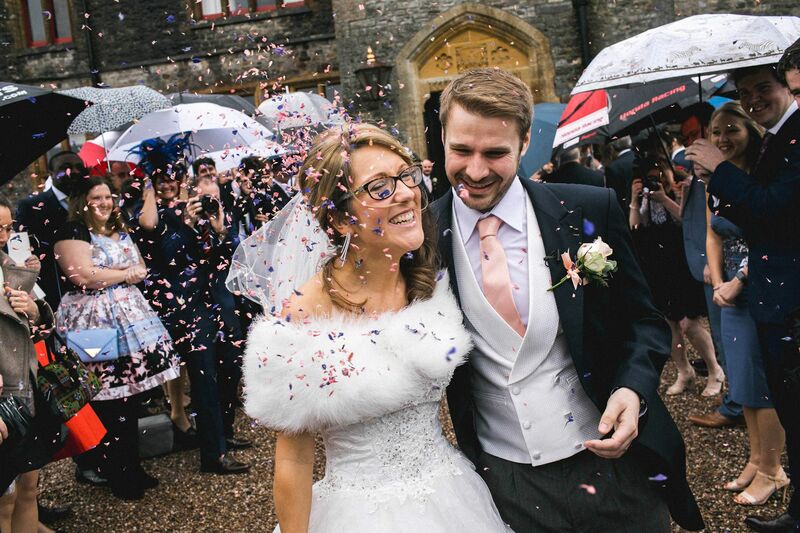 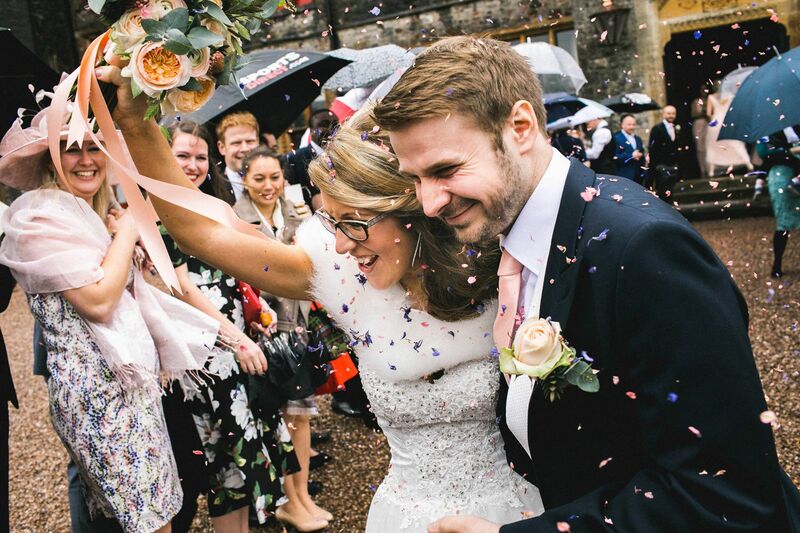 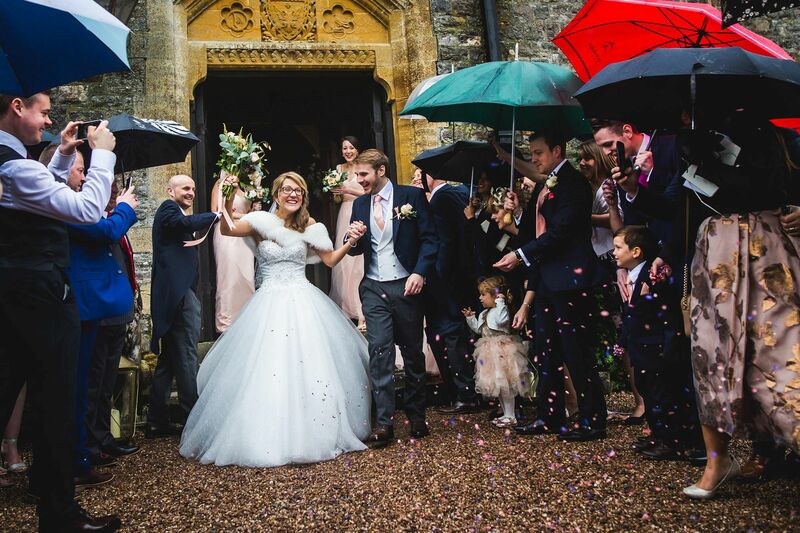 Then it was out for a rainy confetti run, which are my absolute favourites by the way! 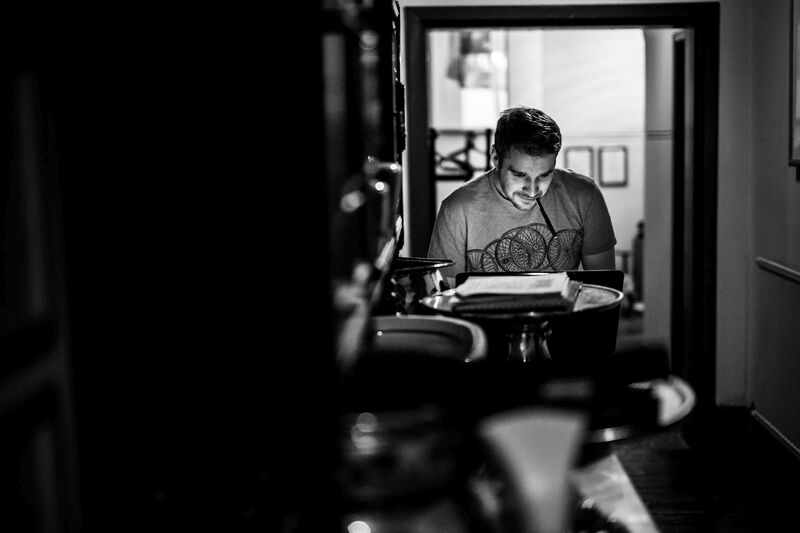 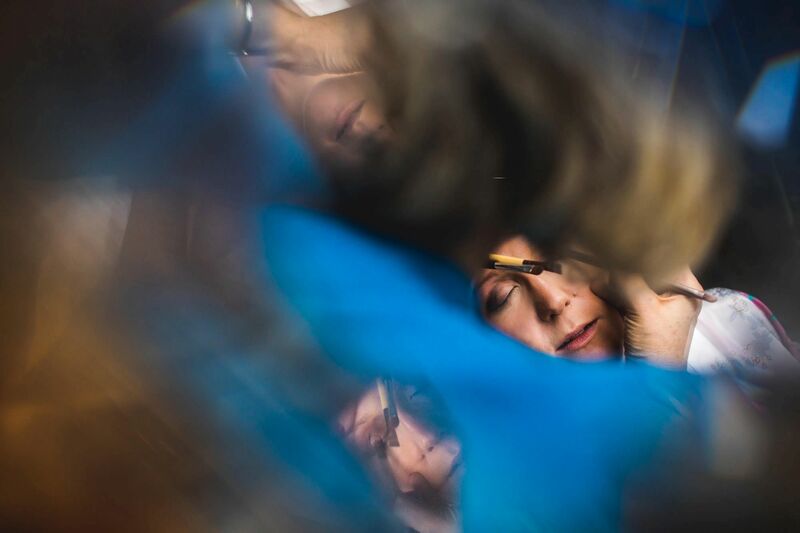 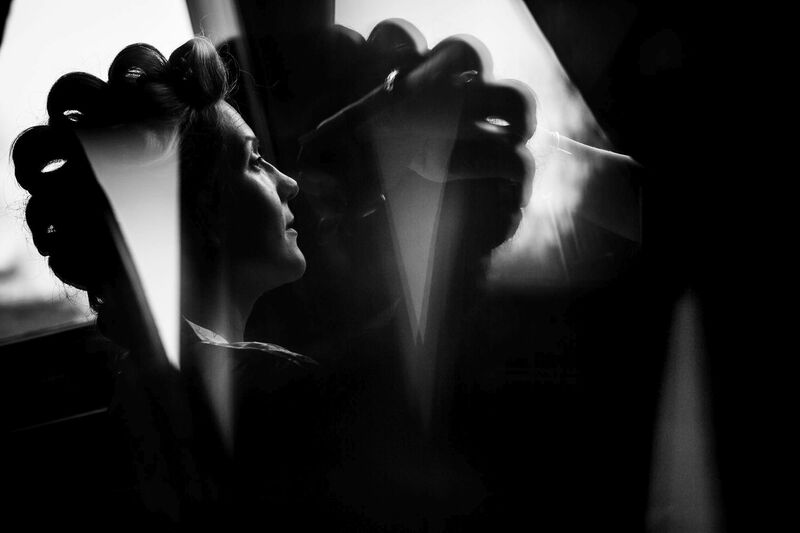 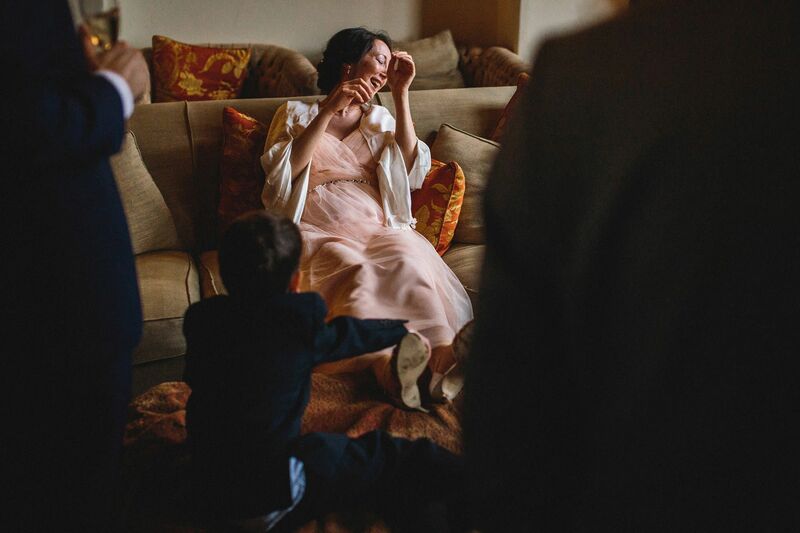 We were delighted to work with Mischka and Luke of Movies by Mischke who were every bit as wonderful to work with as their films are, we highly recommend checking them out. 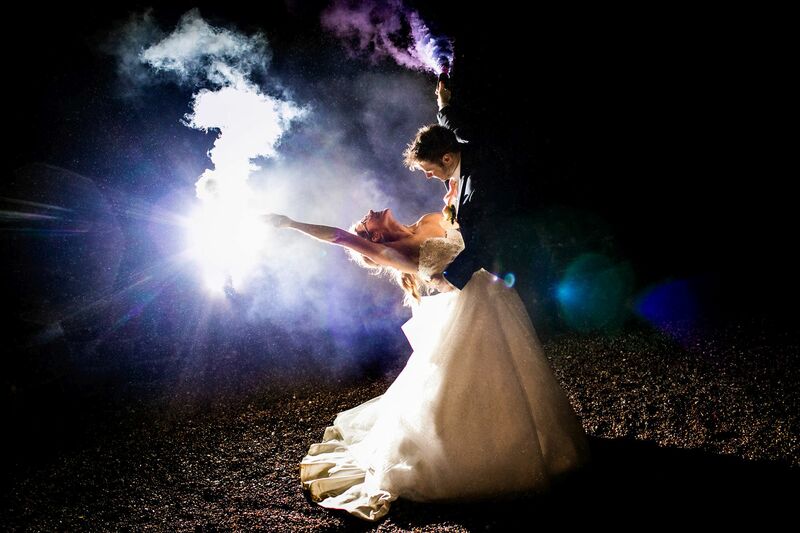 Mischke also had some smoke bombs, not something we’ve ever used but we are always keen to try something new. 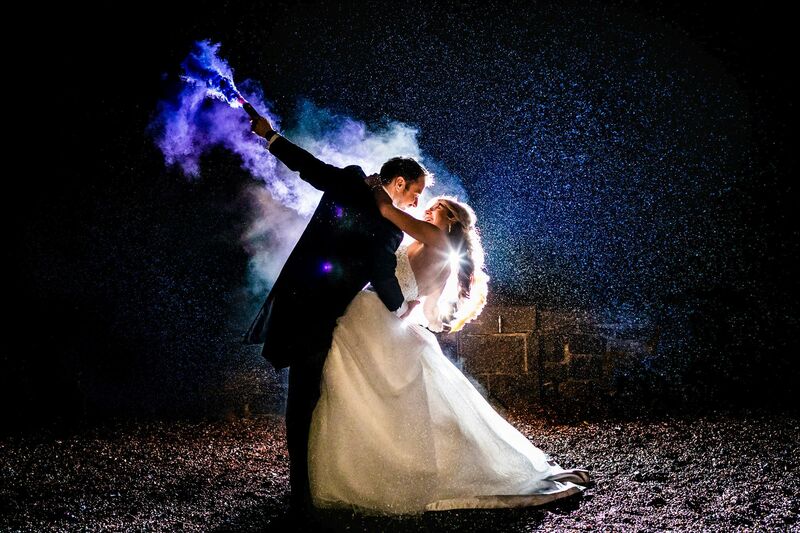 With the rain and a bit of off-camera flash, we’re pretty happy with how they turned out, Bex and Gav also had a LOT of run with them! 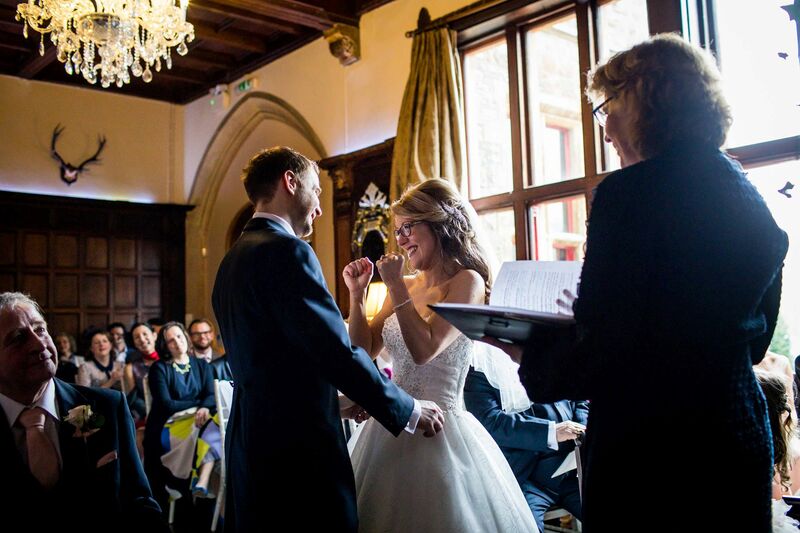 It’s not new news to our readers that we love Huntsham Court, there is something about this venue which just exudes good feeling. 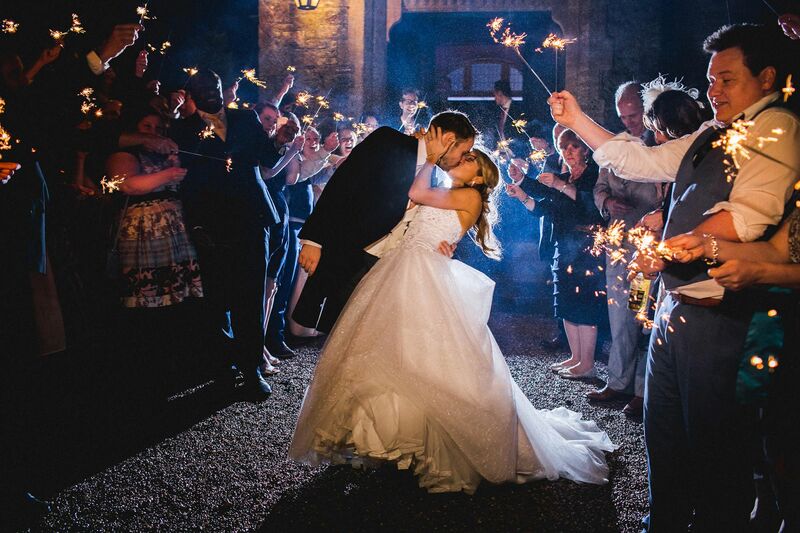 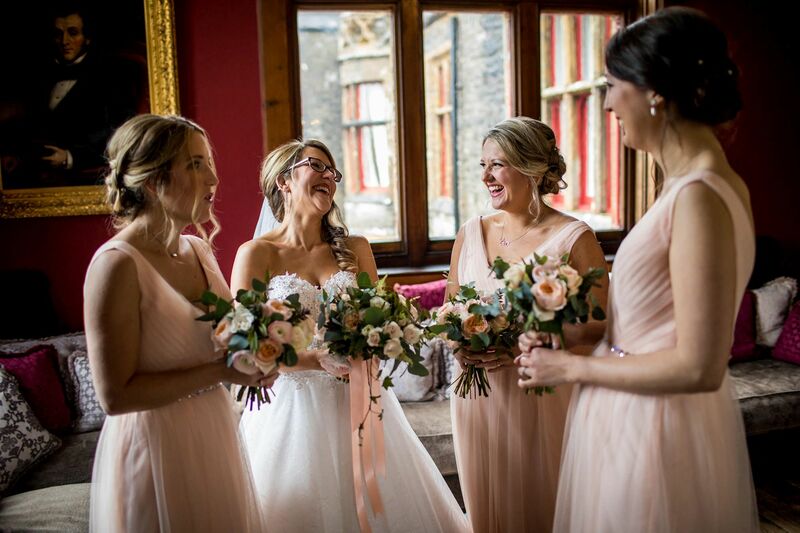 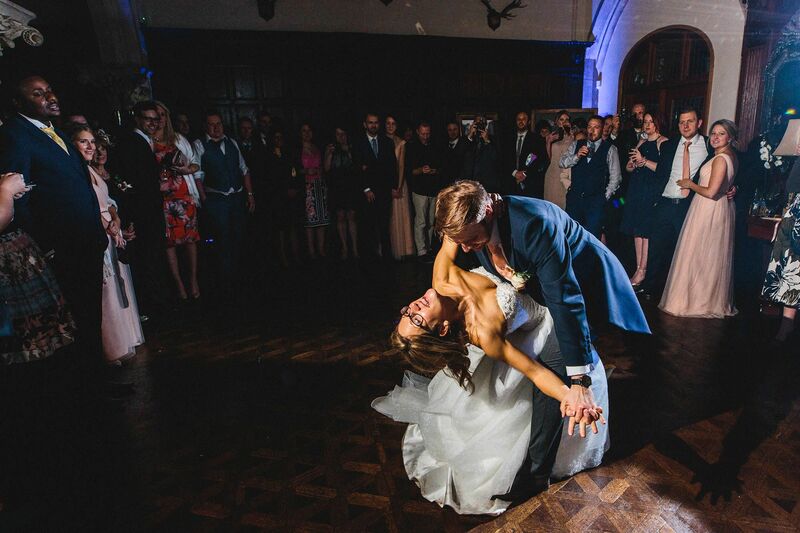 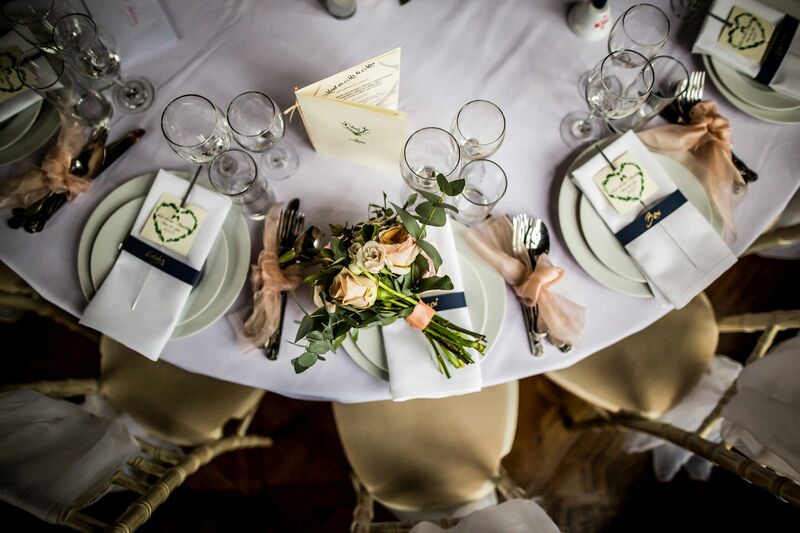 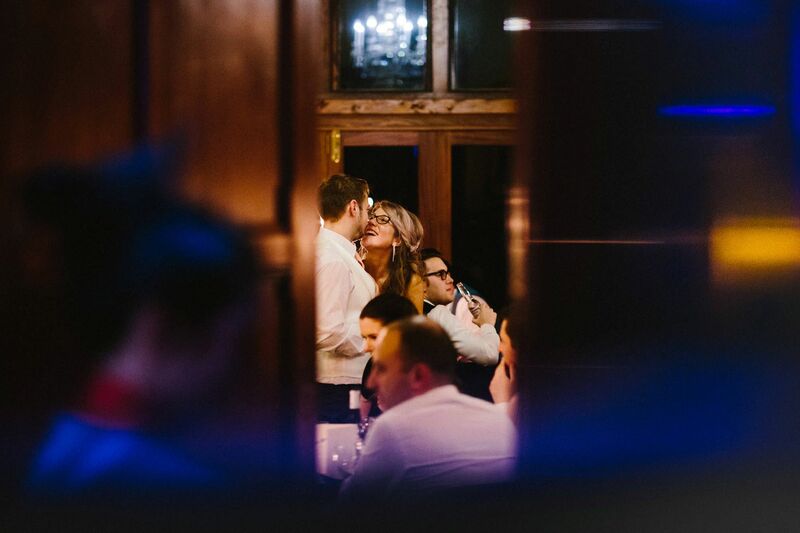 This, combined with the skills of planning extraordinaire, Clair and the exquisite light you can only find in an 18th century gothic mansion, creates a magical wedding venue. 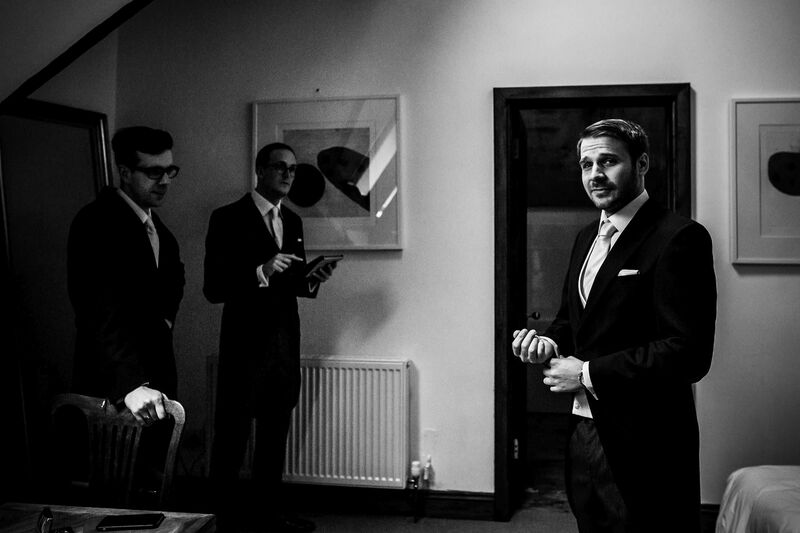 From morning to night, we had an incredible day with these guys and the feedback we received was the icing on the cake! 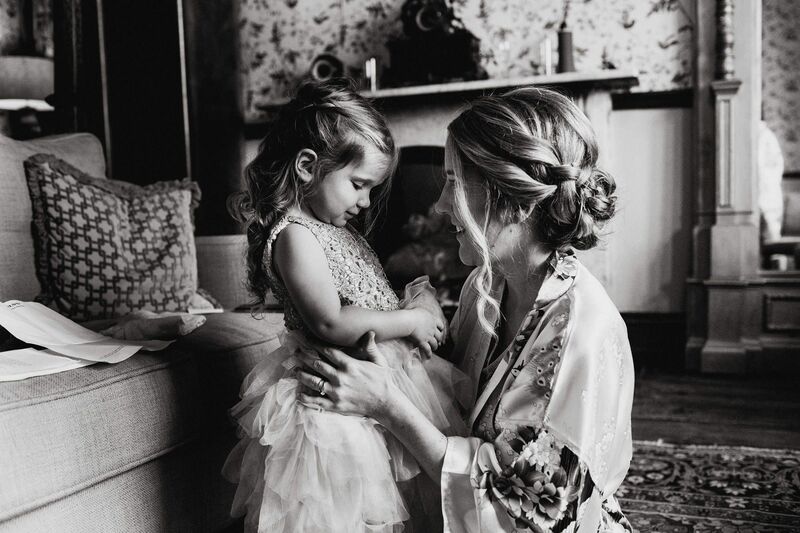 Absolutely A M A Z I N G……. 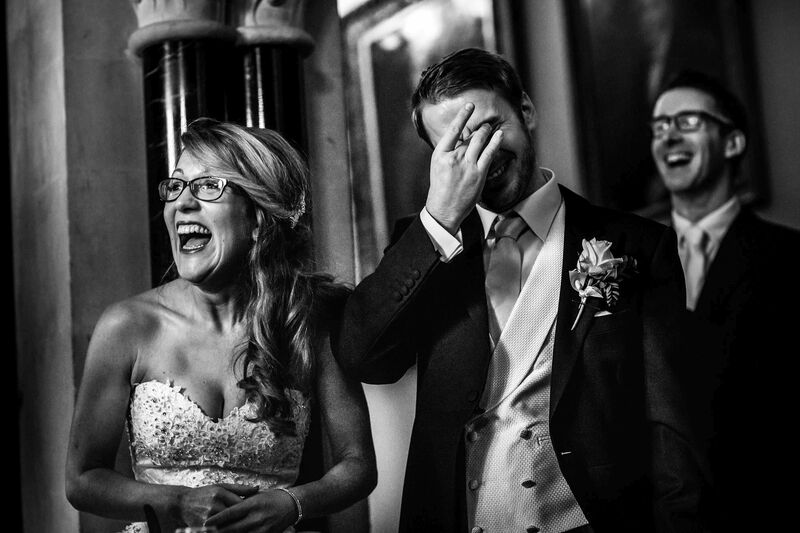 oh we giggled we cried… Thank you so much it’s fab and what amazing photos… I waited 6hrs ( I tell it was like having butterflies over again) to watch with gav by my side and now we keep re watching! 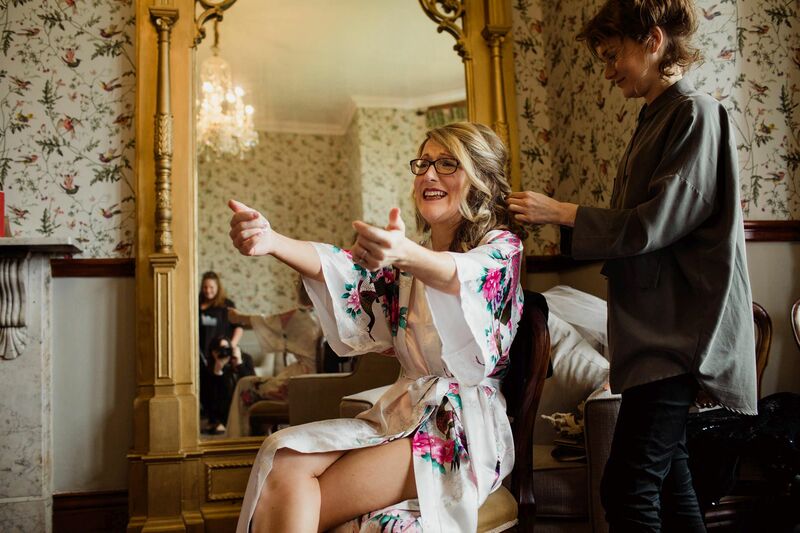 It’s fabulous (you know that cry face I pull… I’m doing it now!) 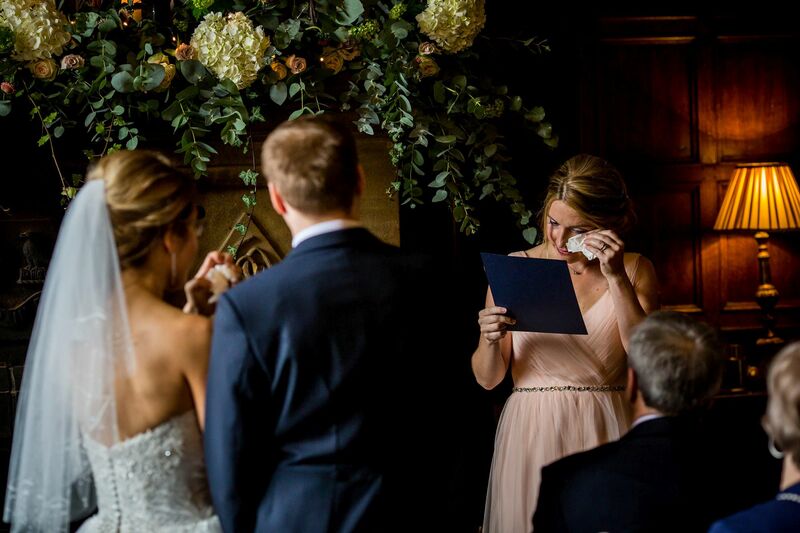 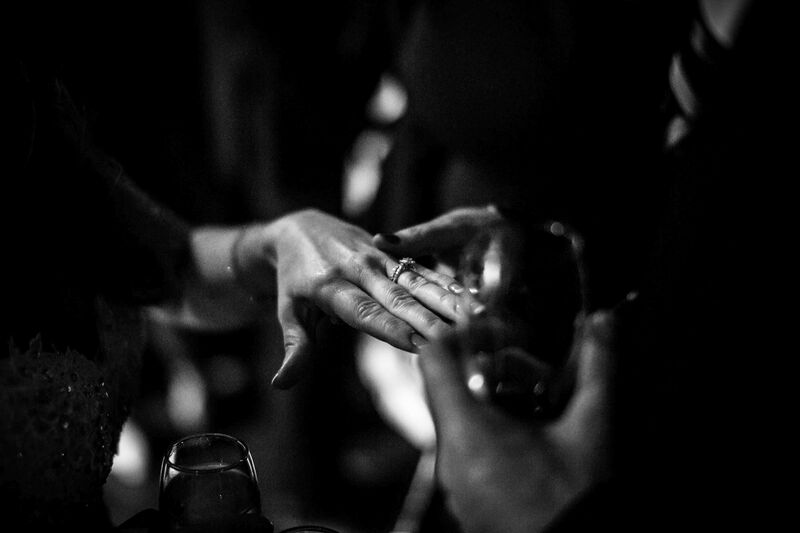 Kisses and tears…. 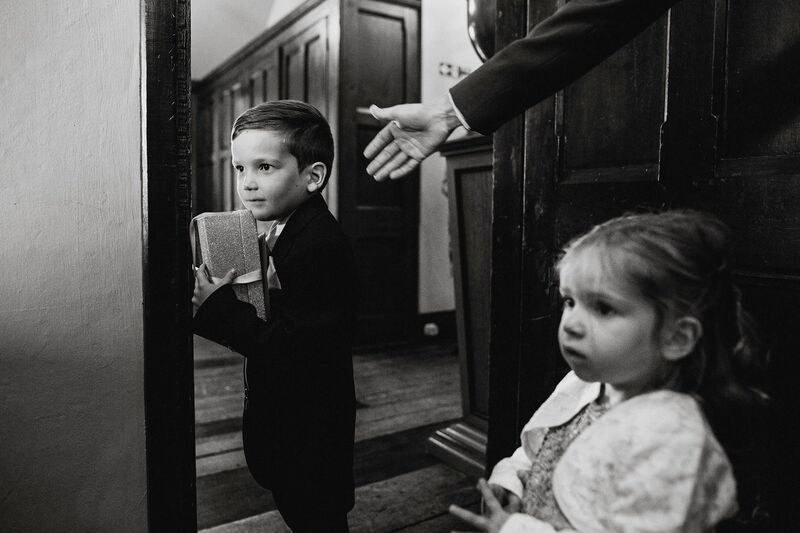 mind blown.. wow! 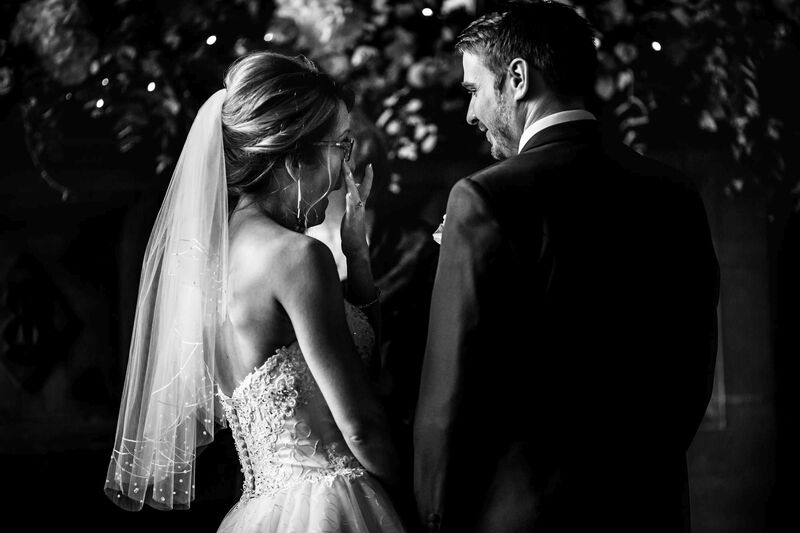 We are truly blessed to have met you both. 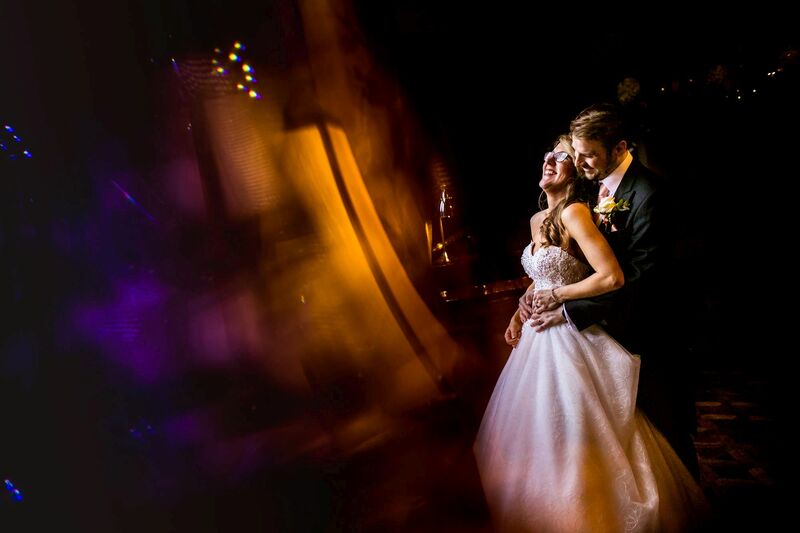 You captured the day in a way that brings it back perfectly! 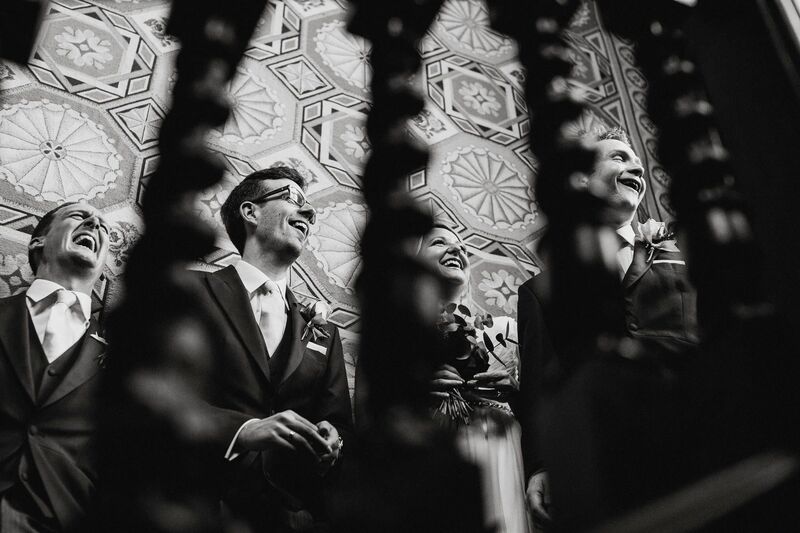 Now, enjoy the photos – there are many! 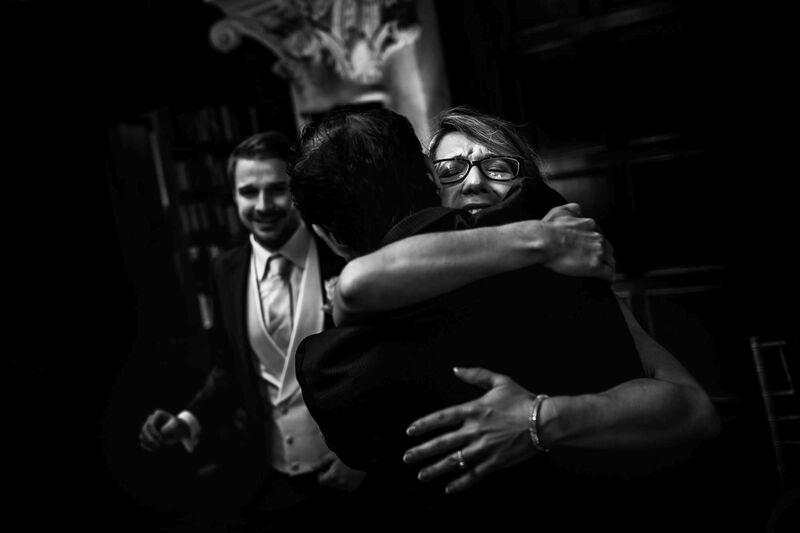 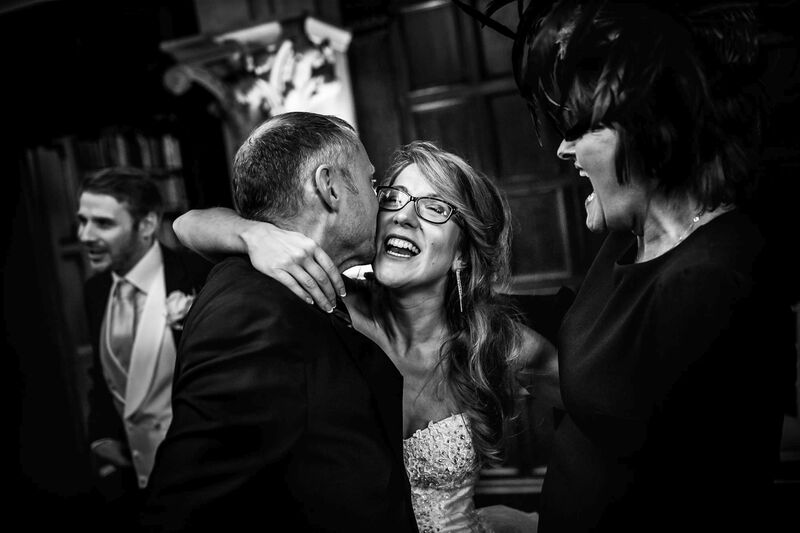 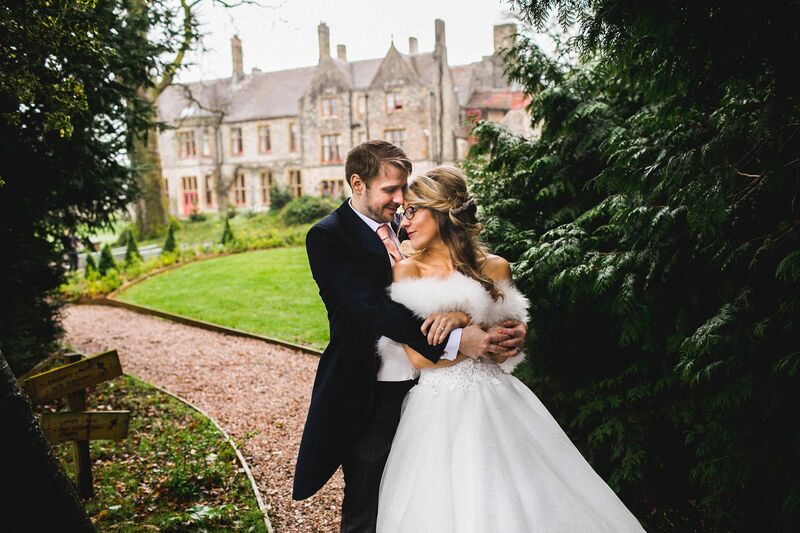 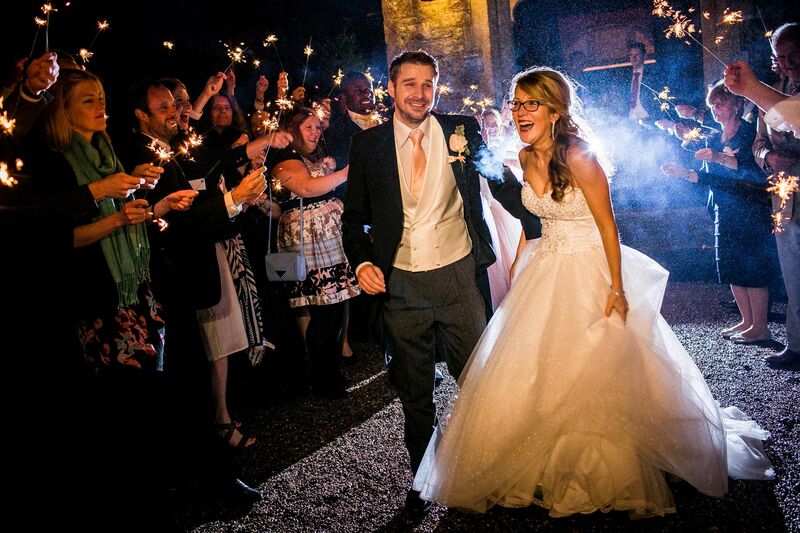 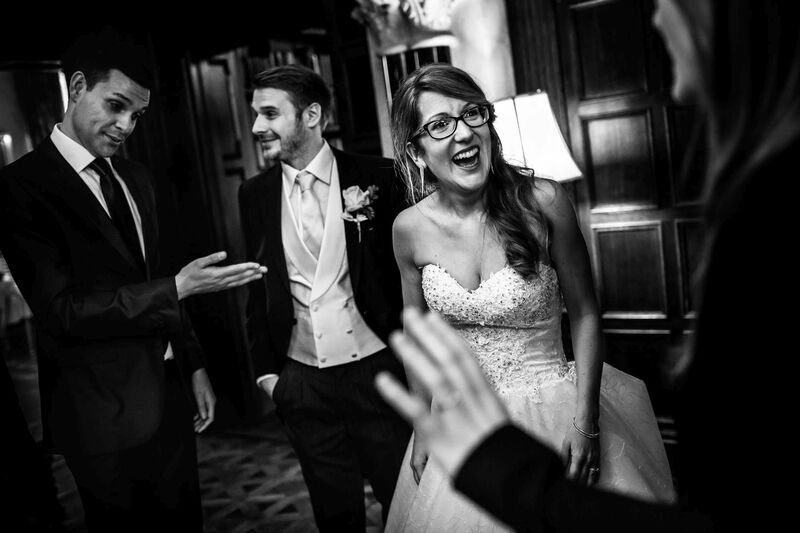 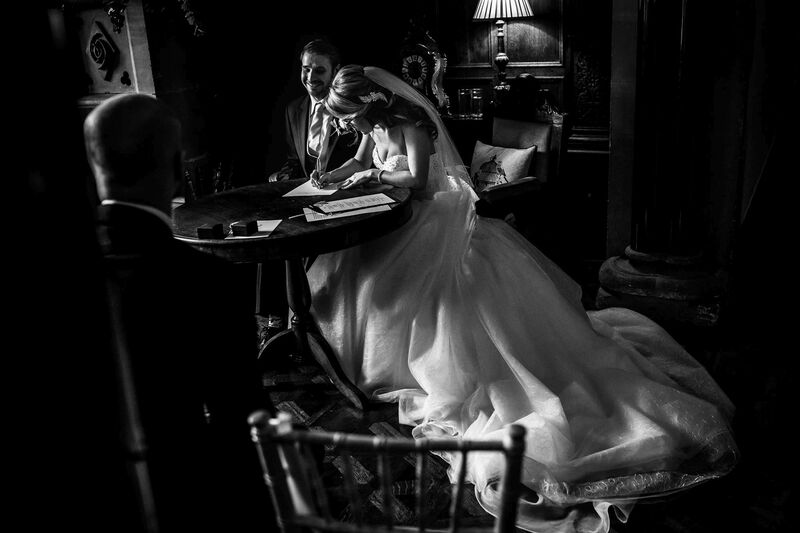 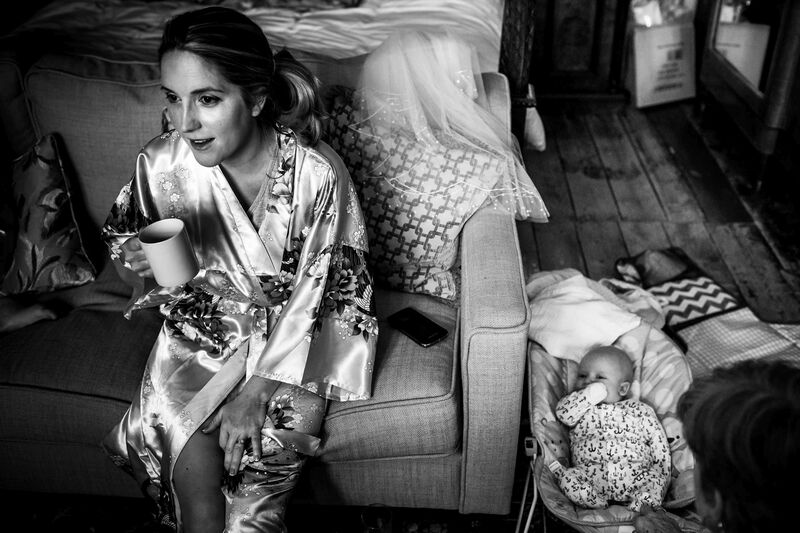 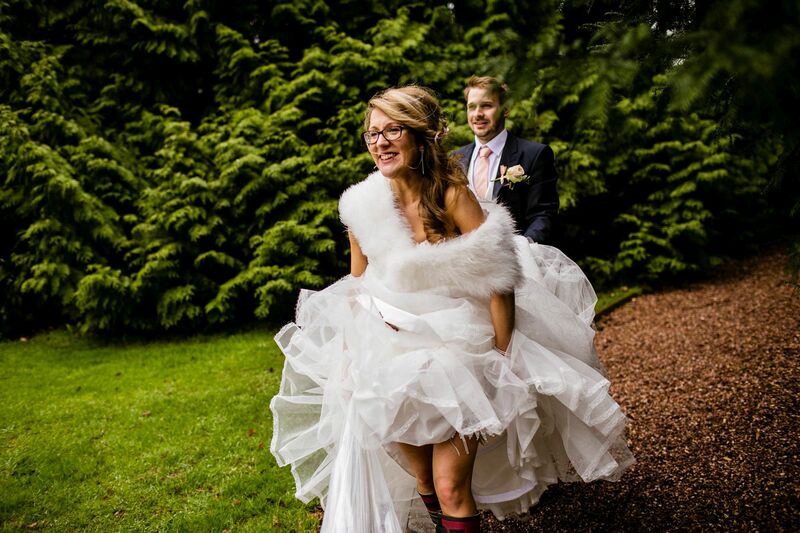 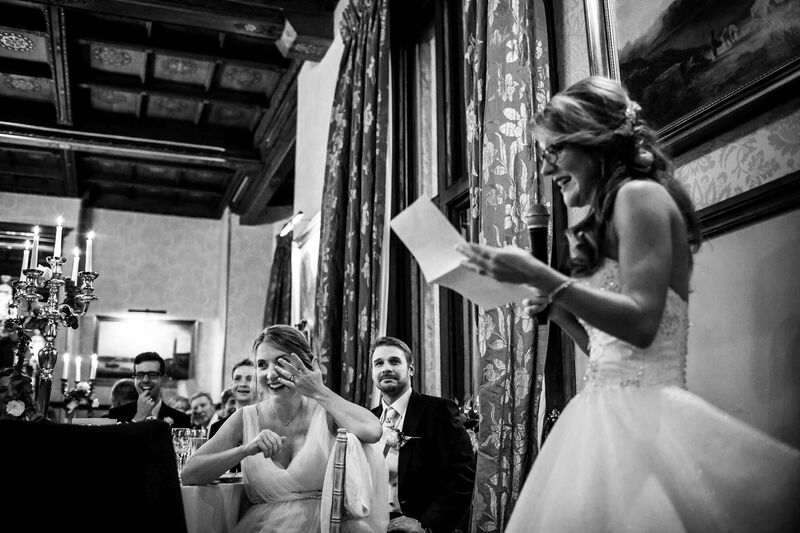 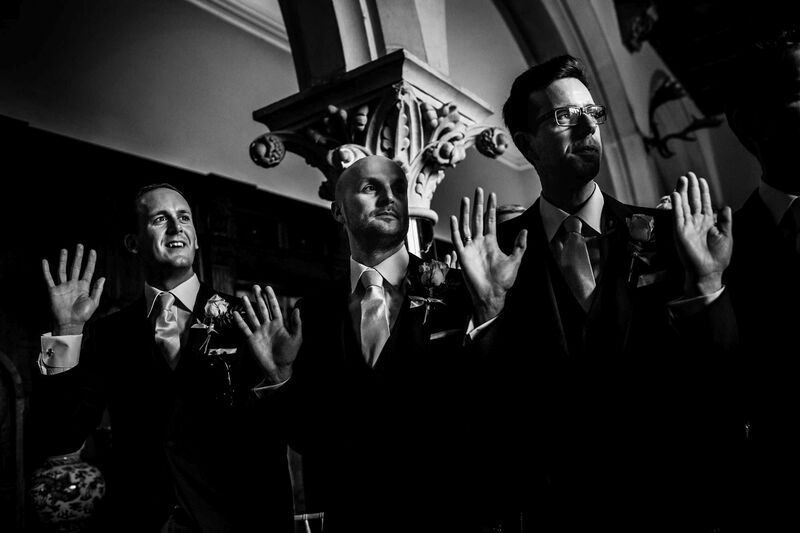 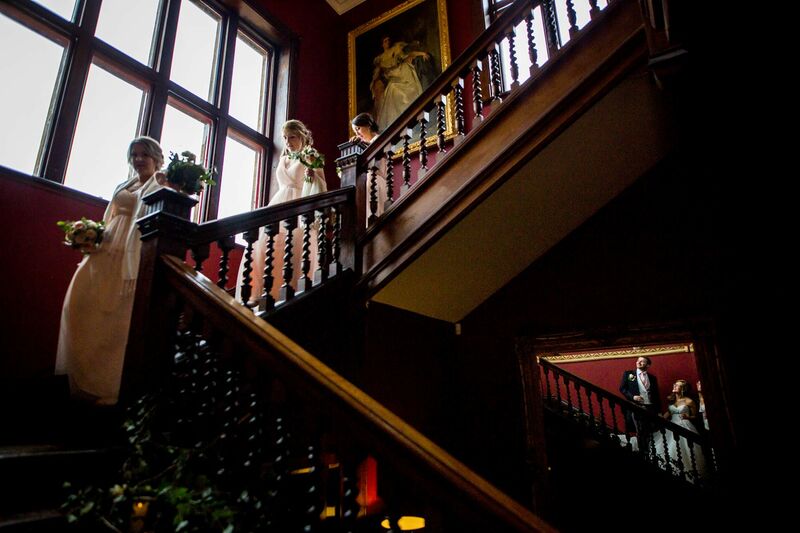 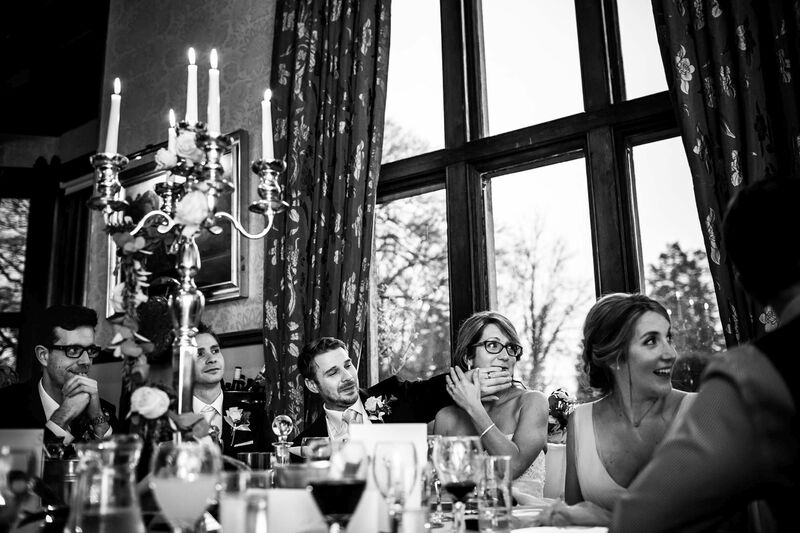 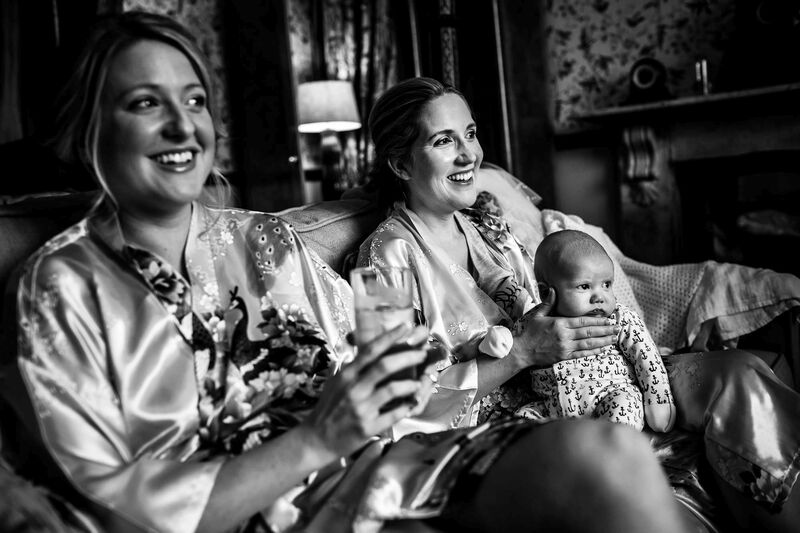 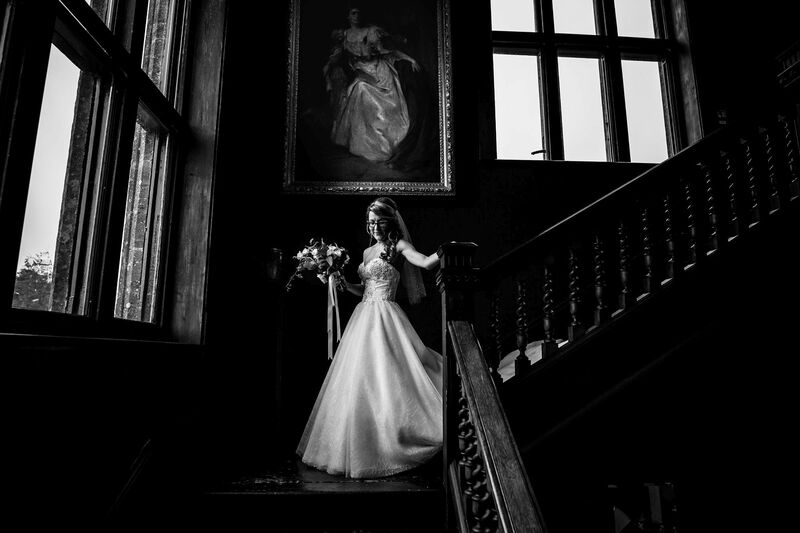 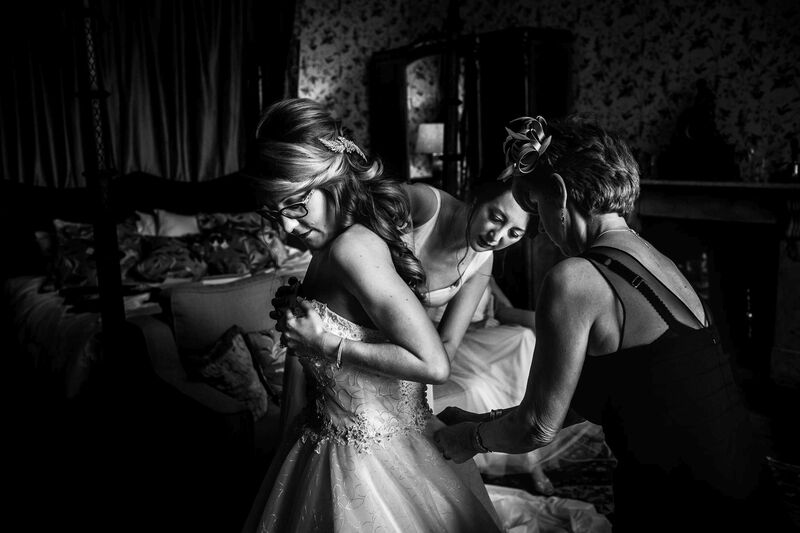 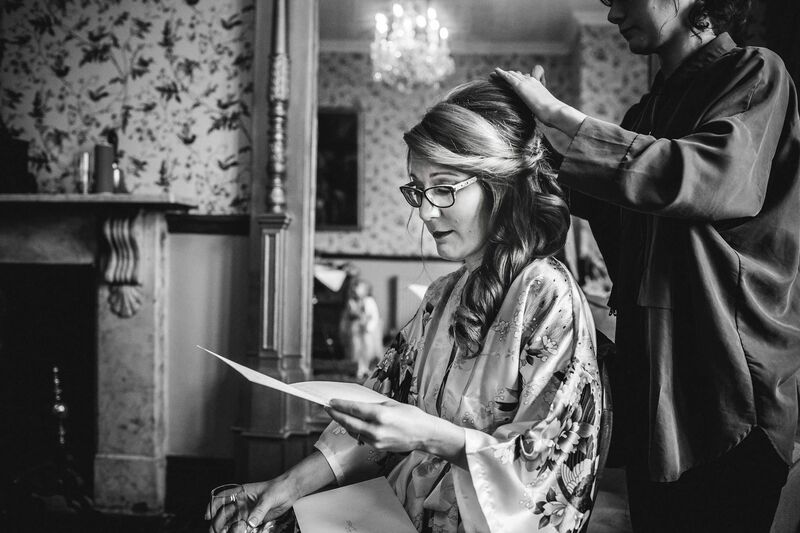 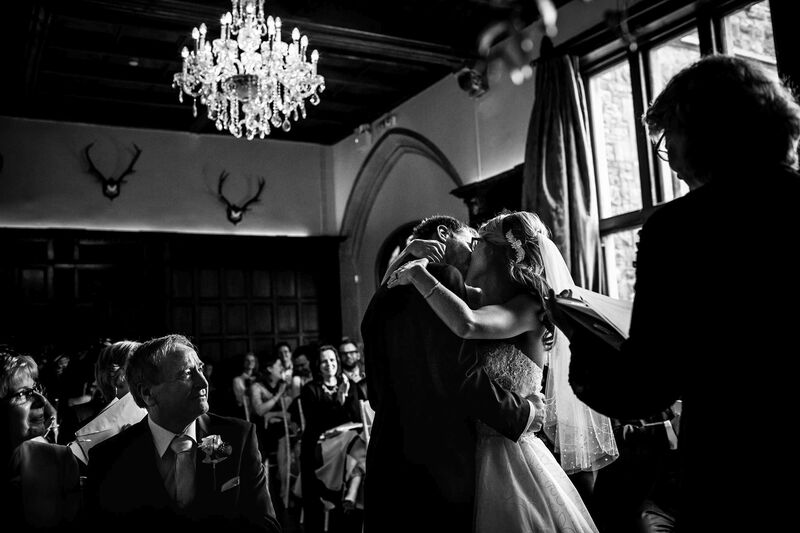 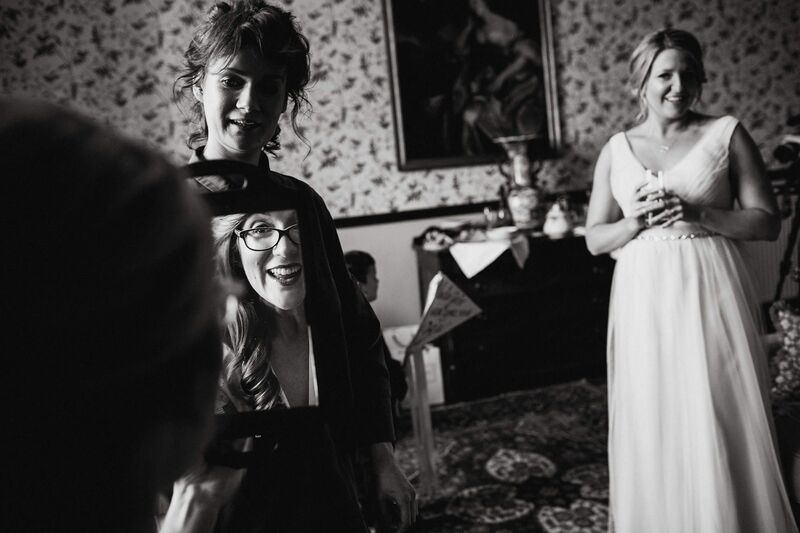 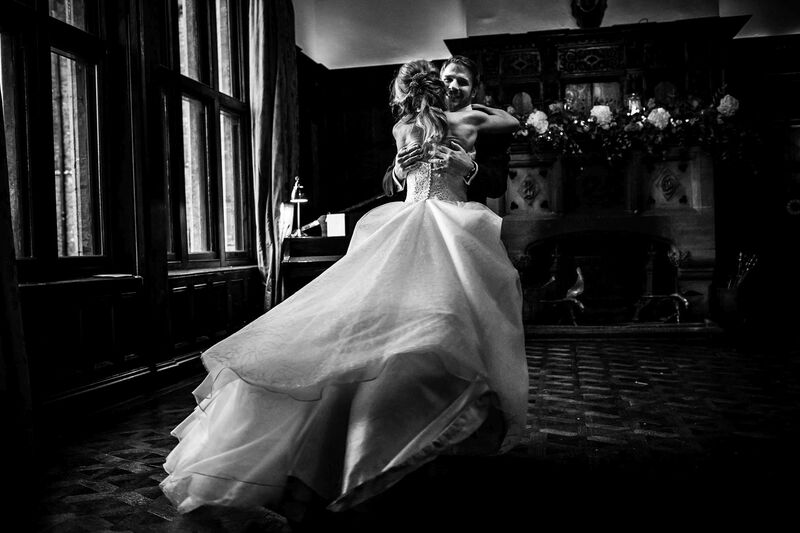 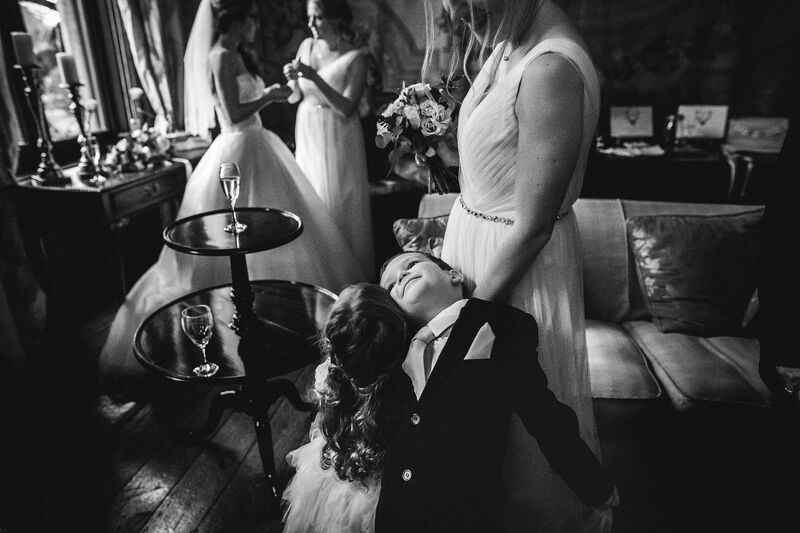 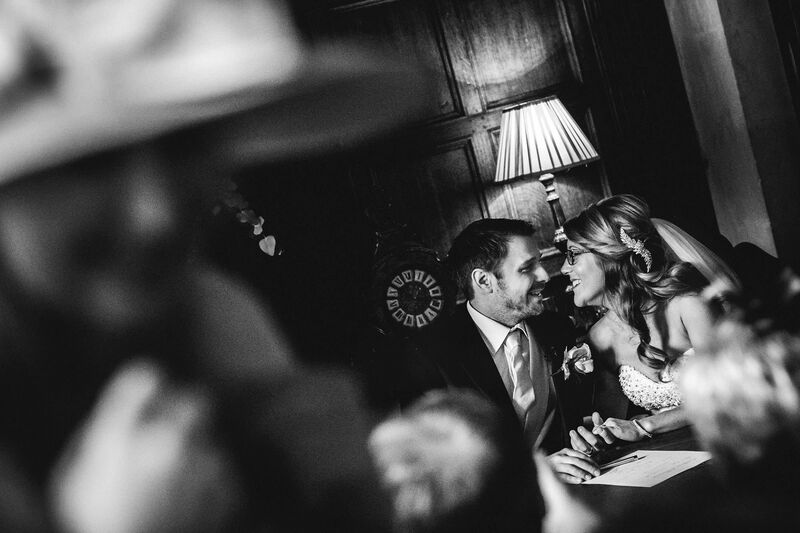 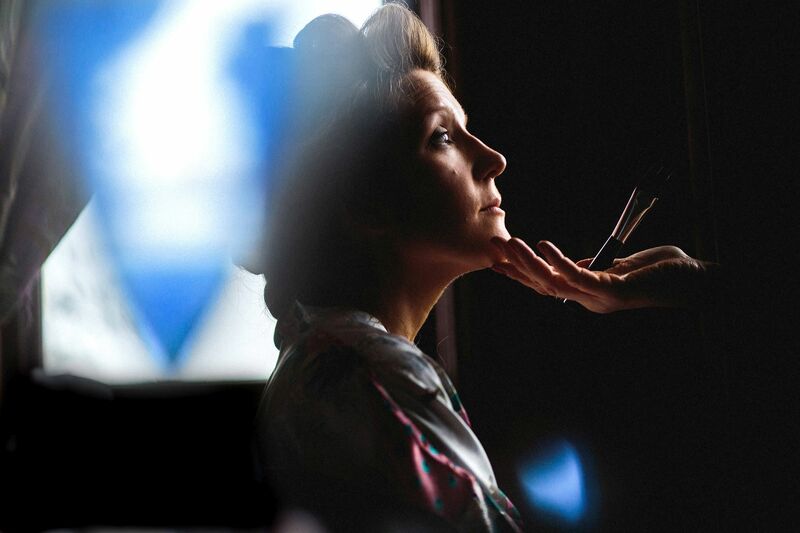 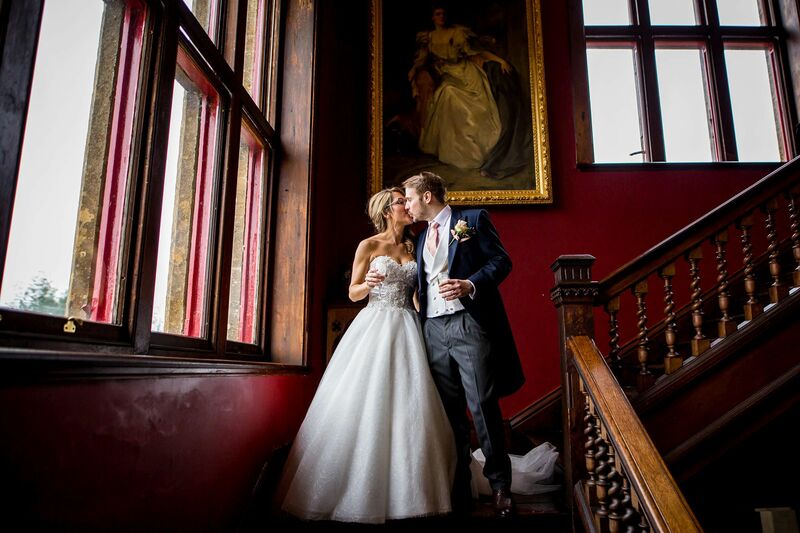 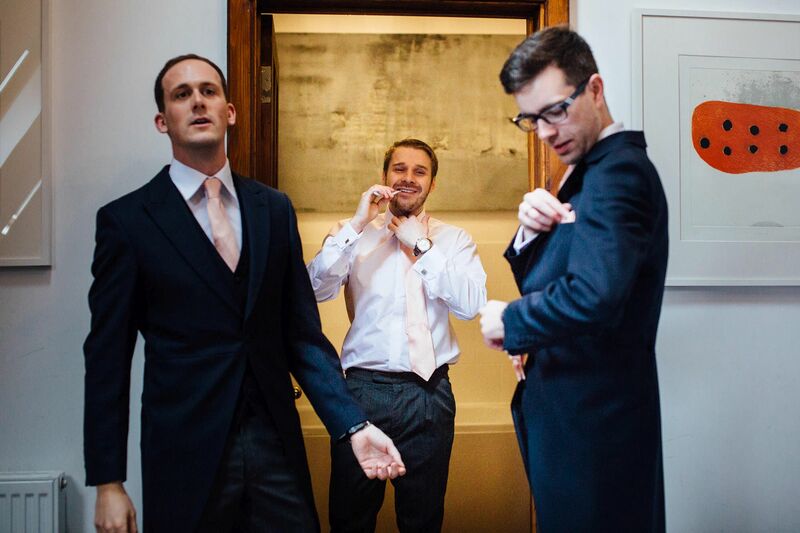 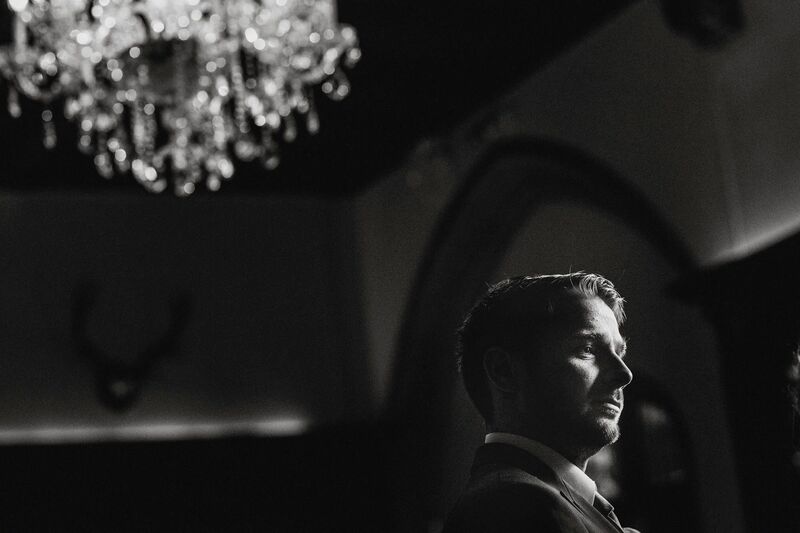 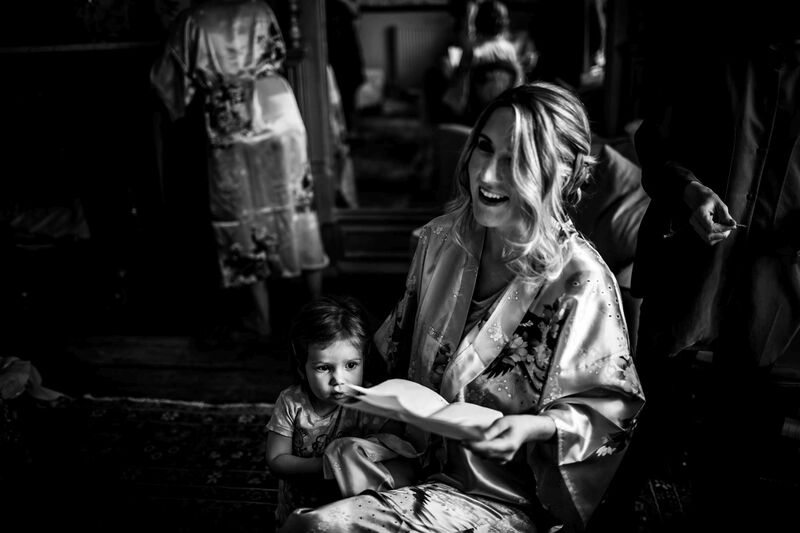 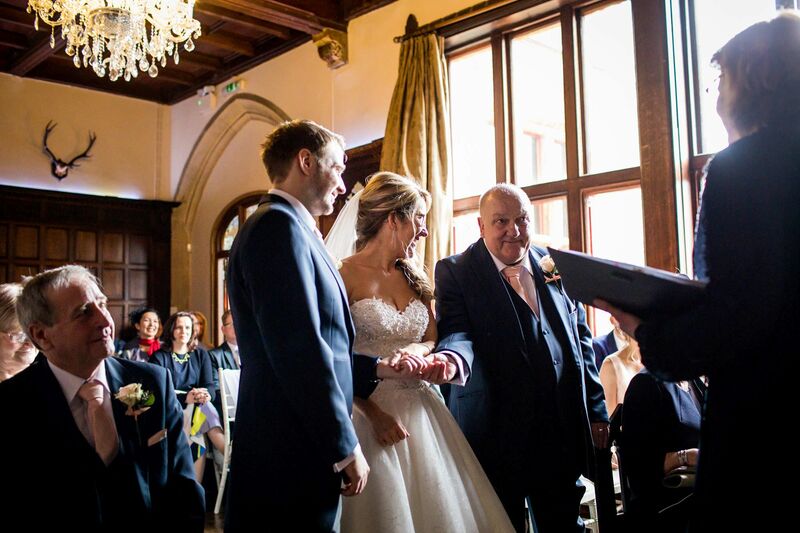 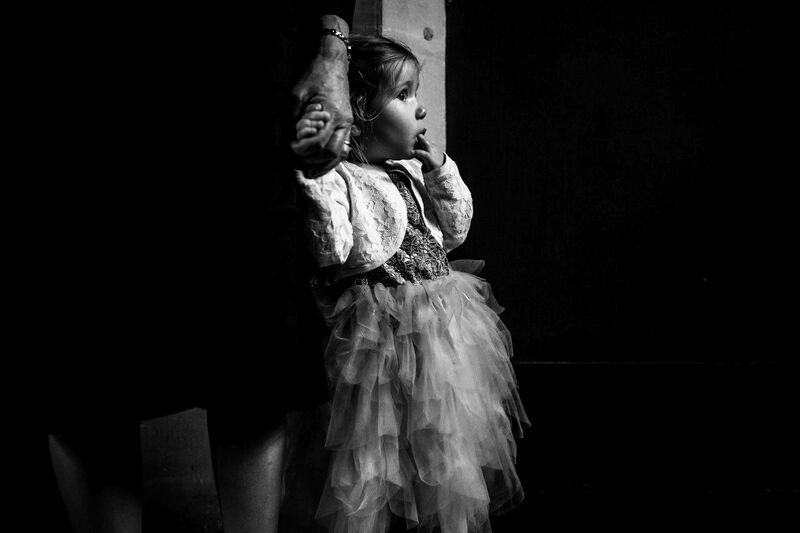 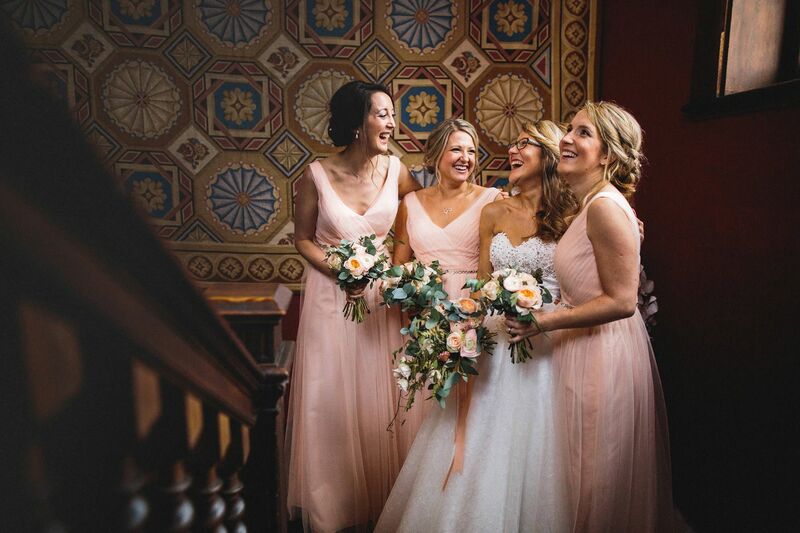 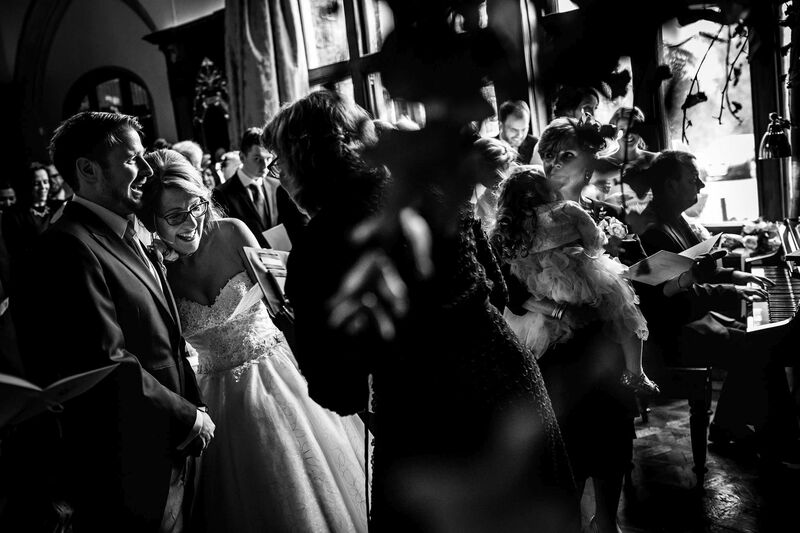 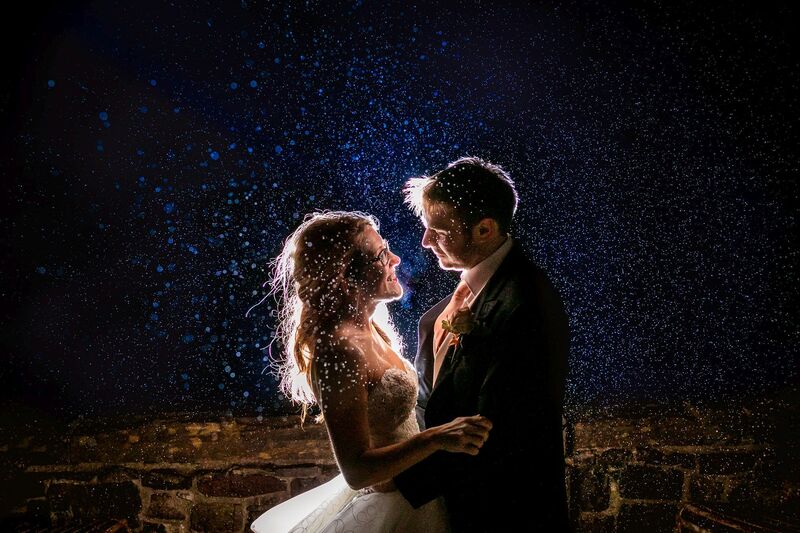 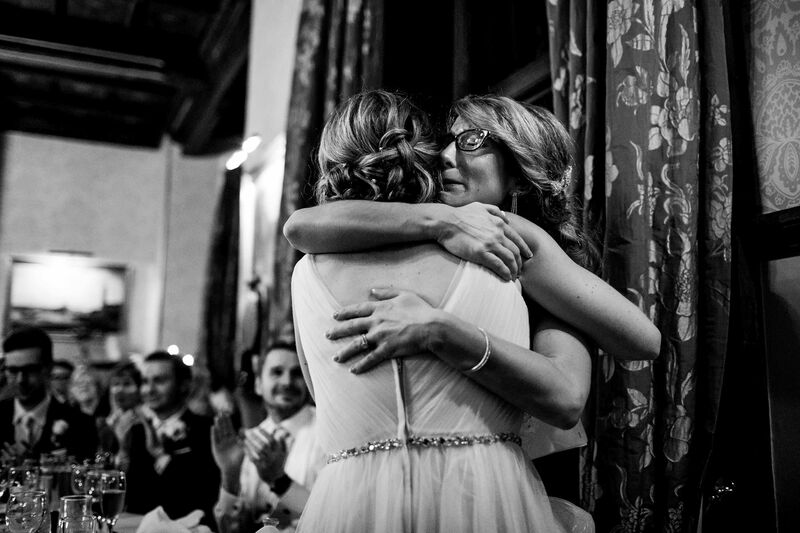 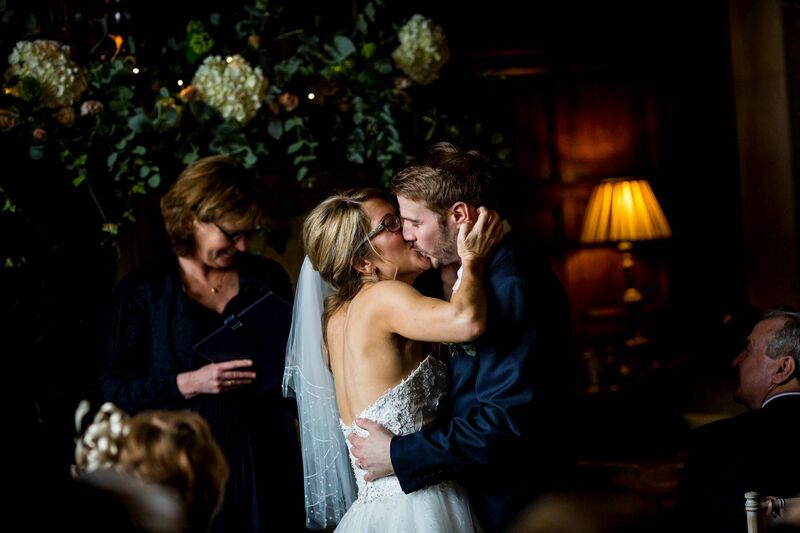 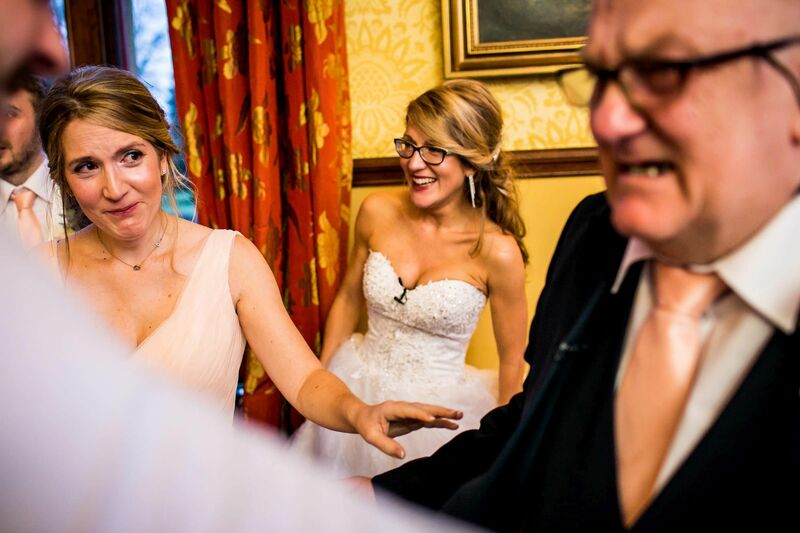 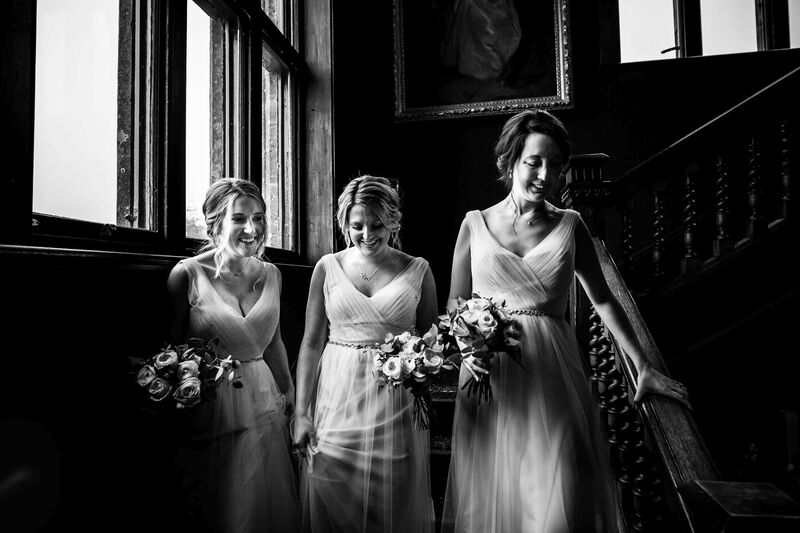 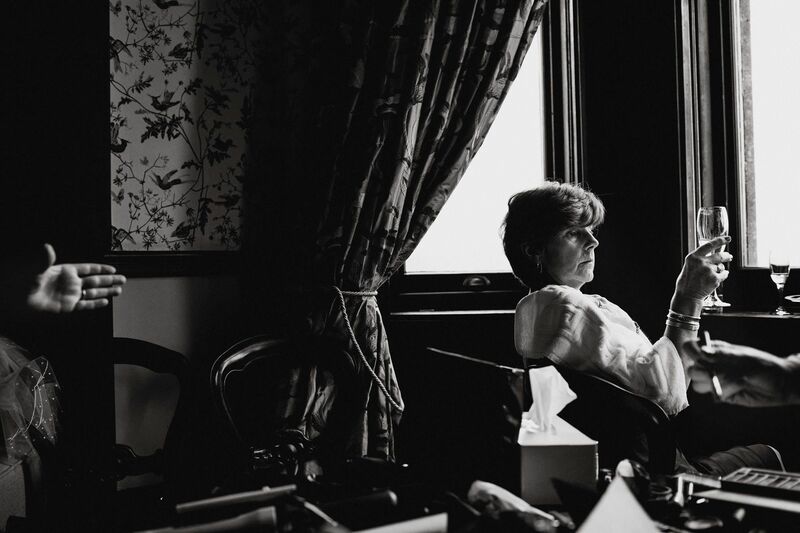 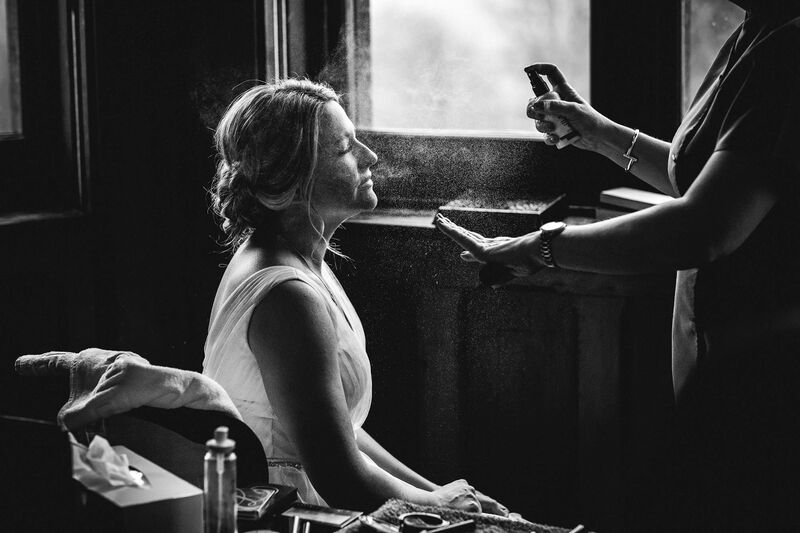 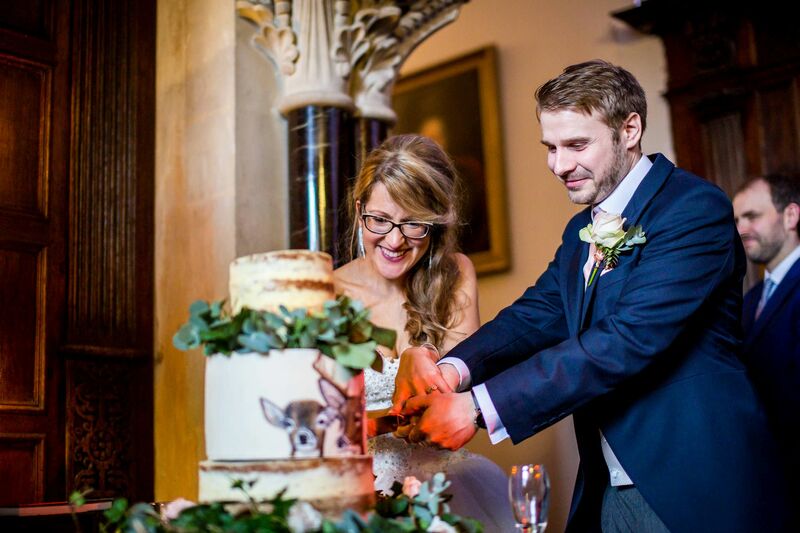 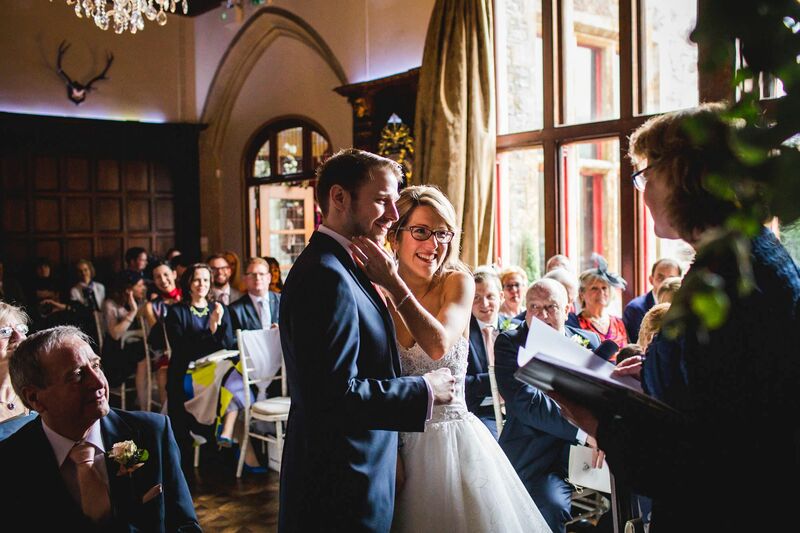 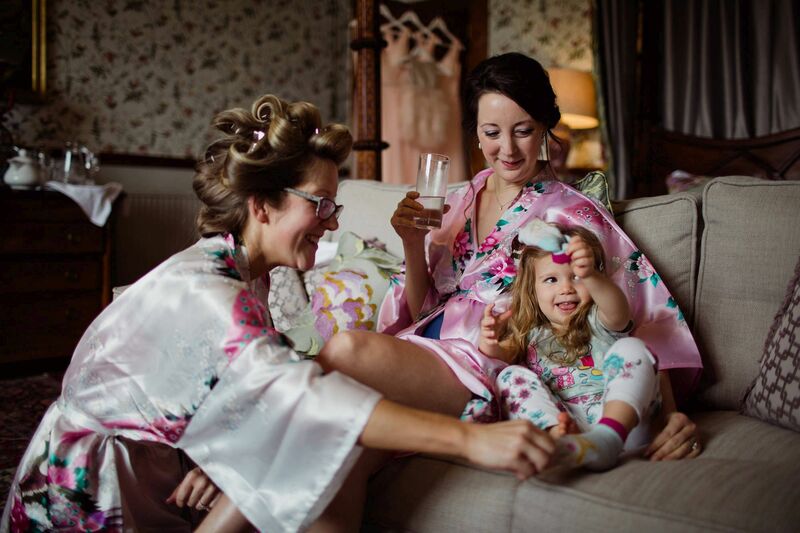 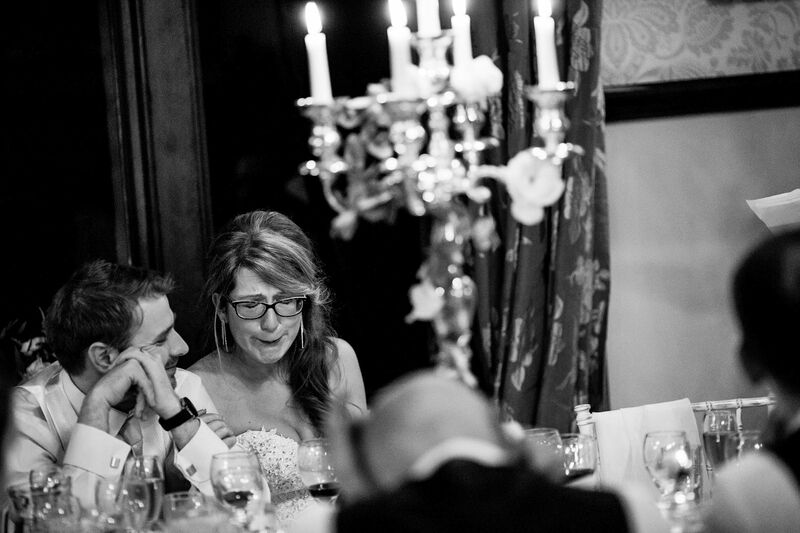 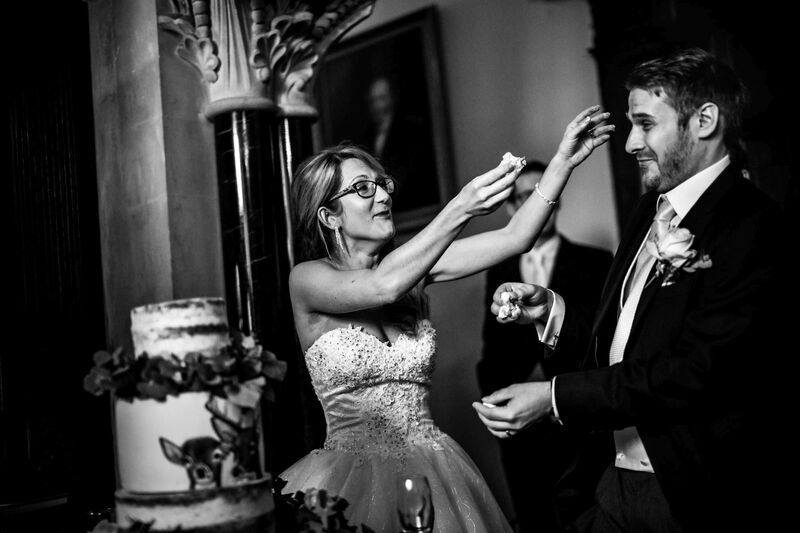 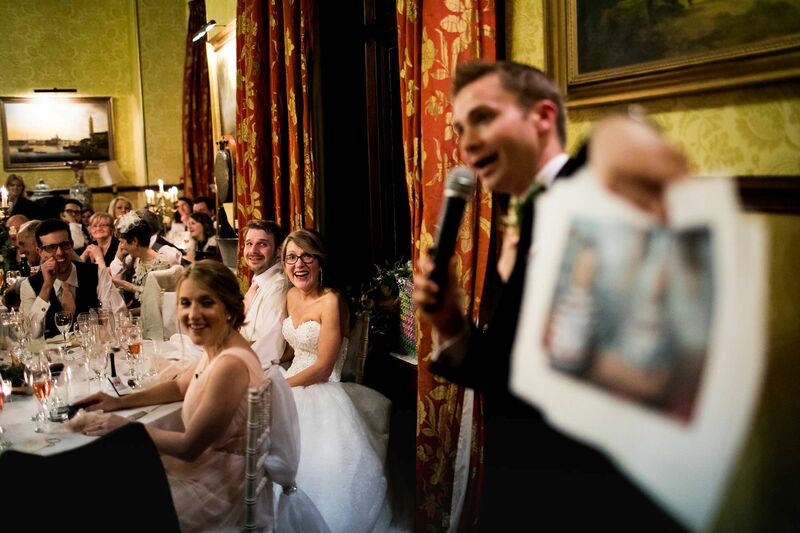 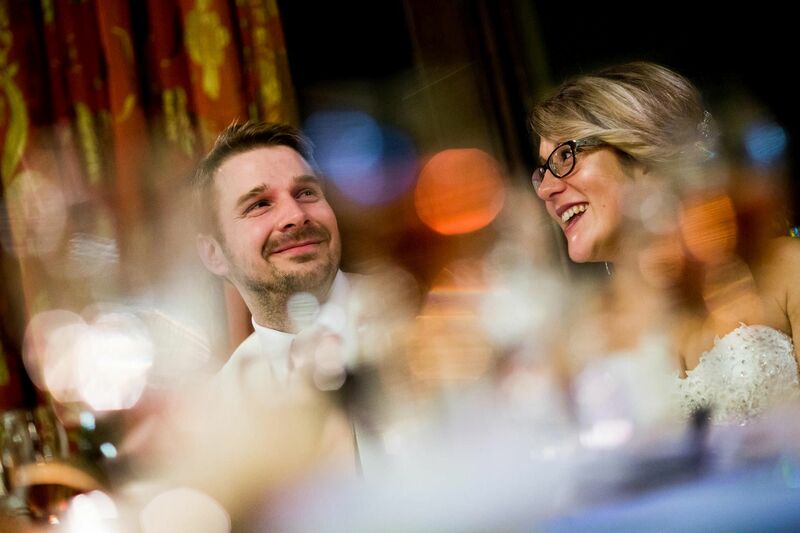 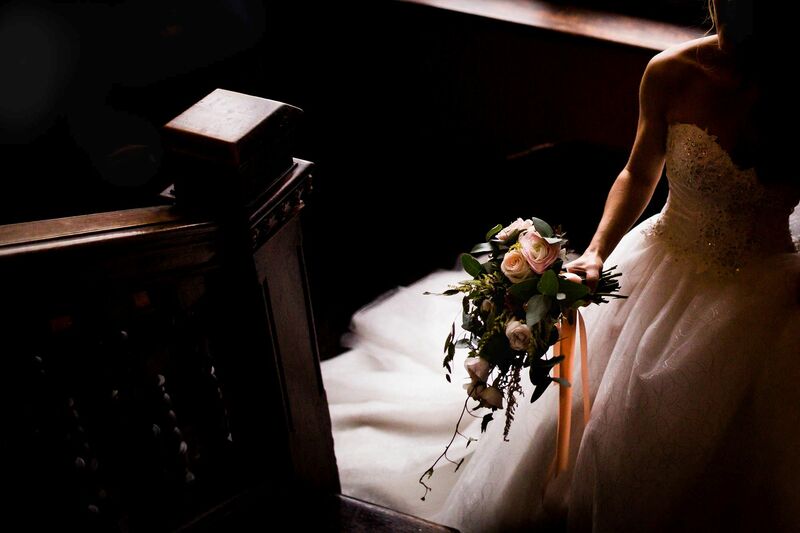 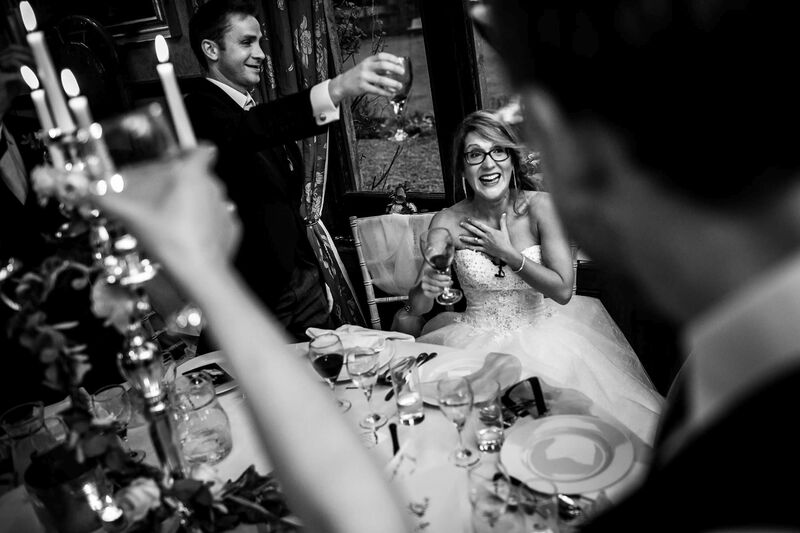 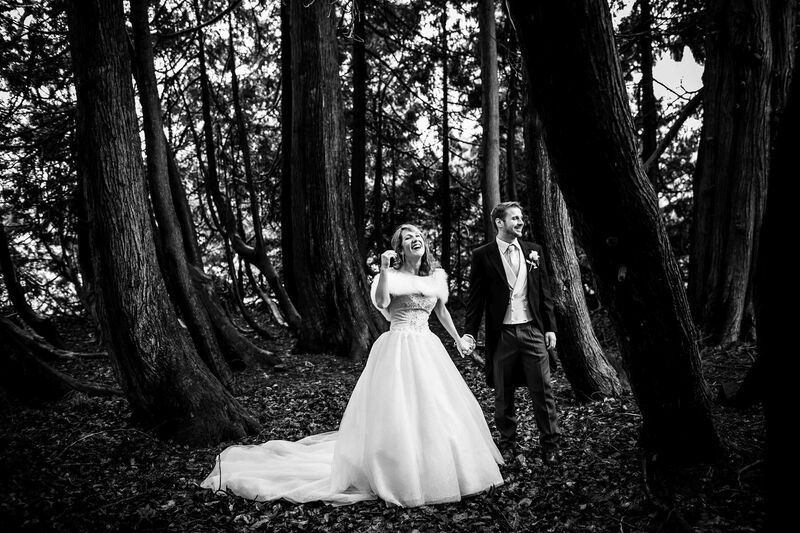 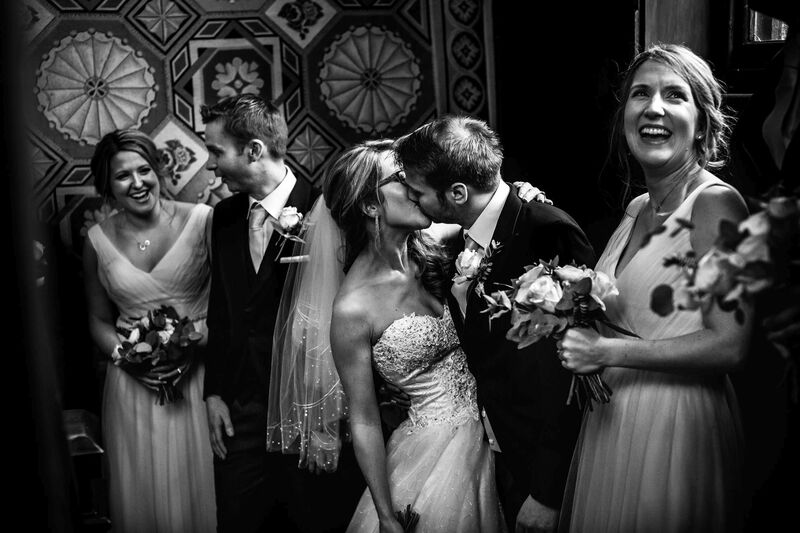 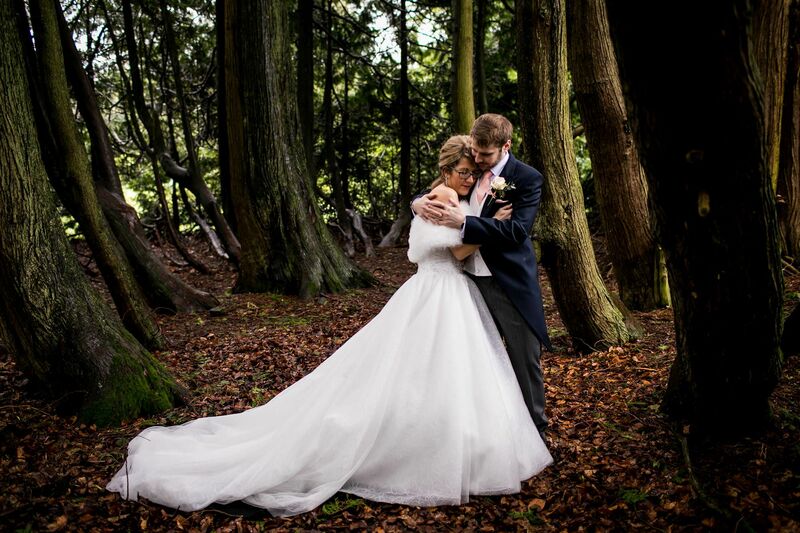 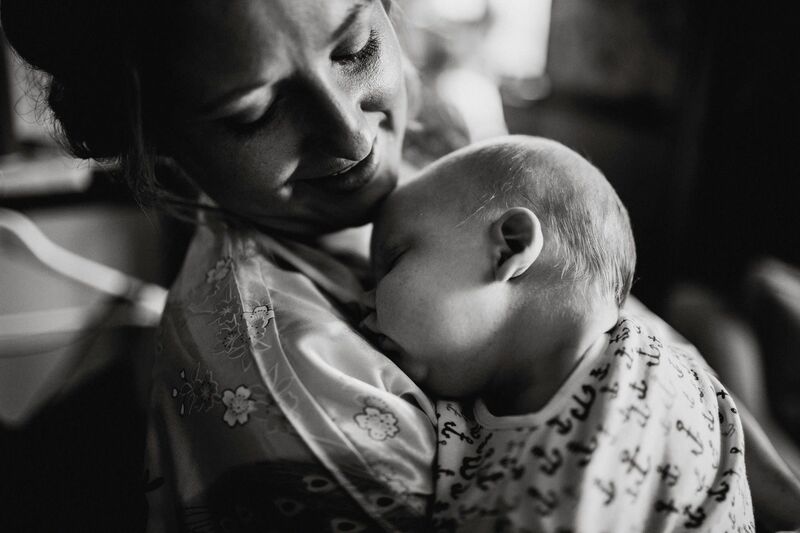 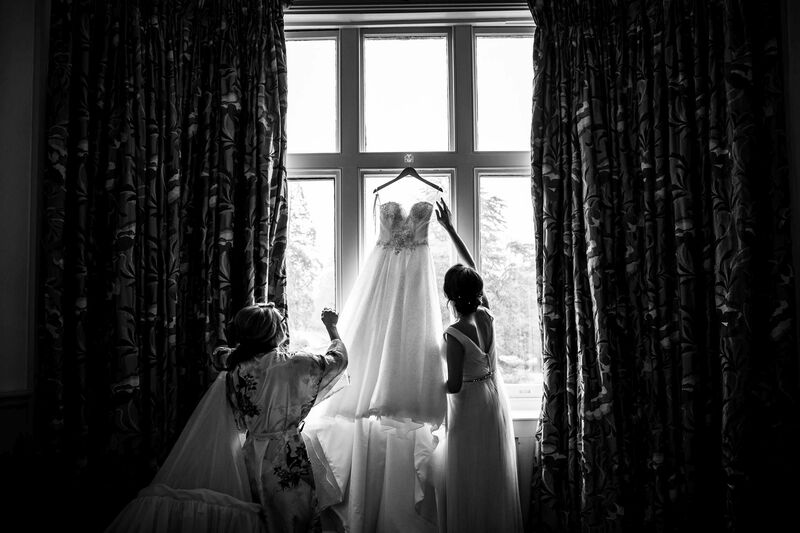 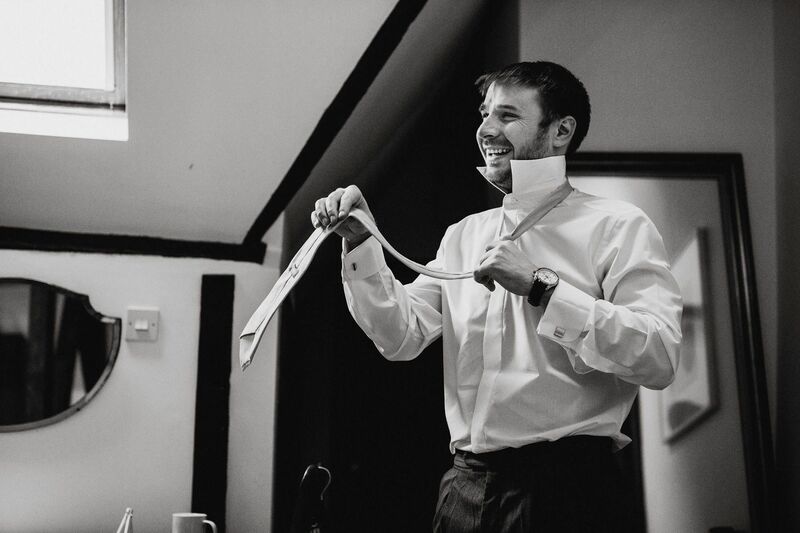 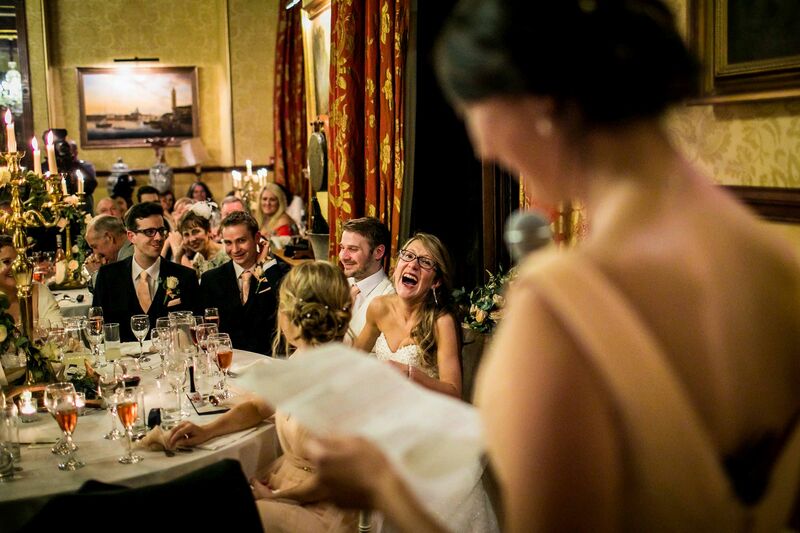 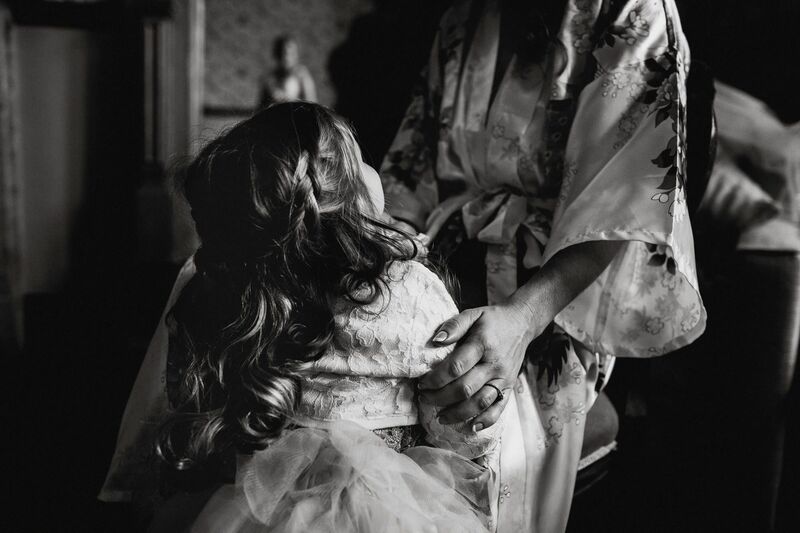 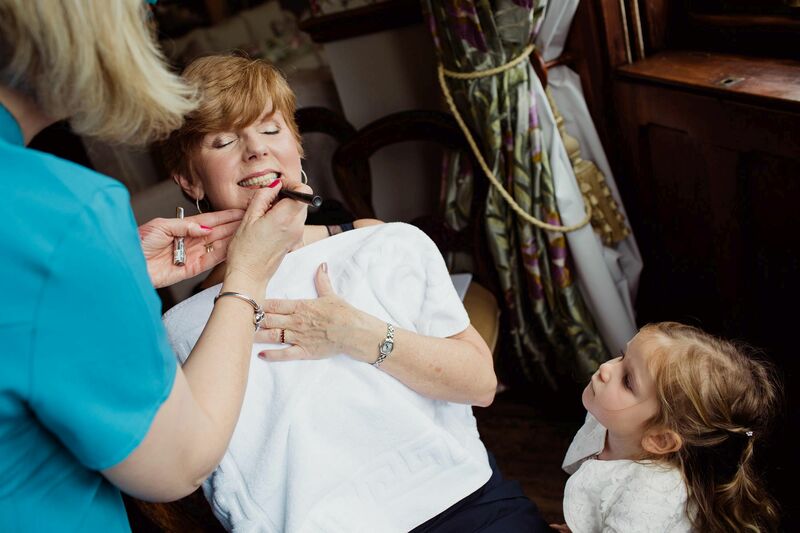 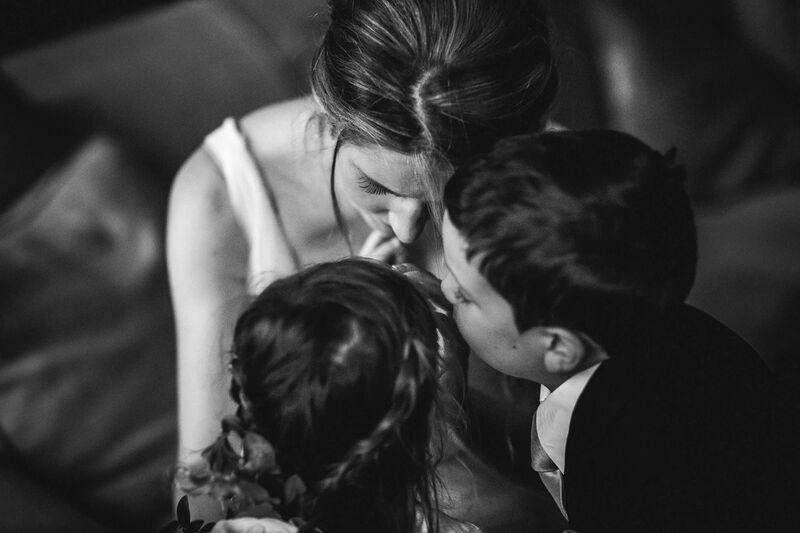 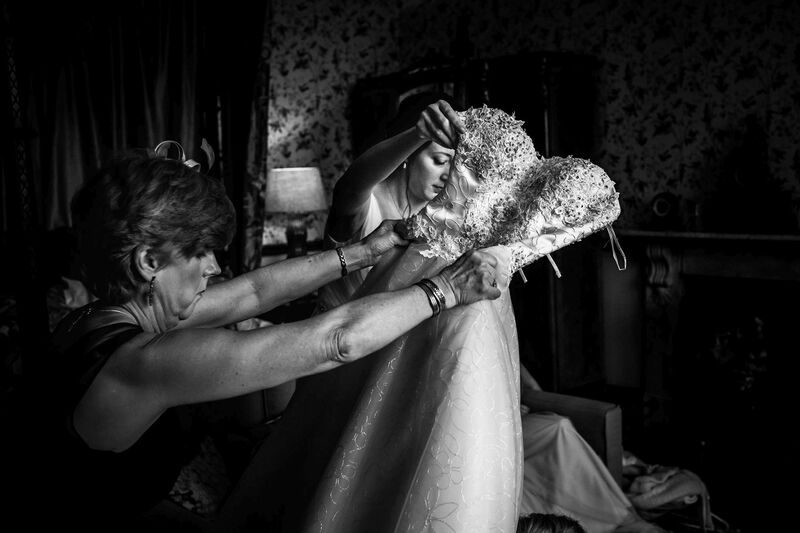 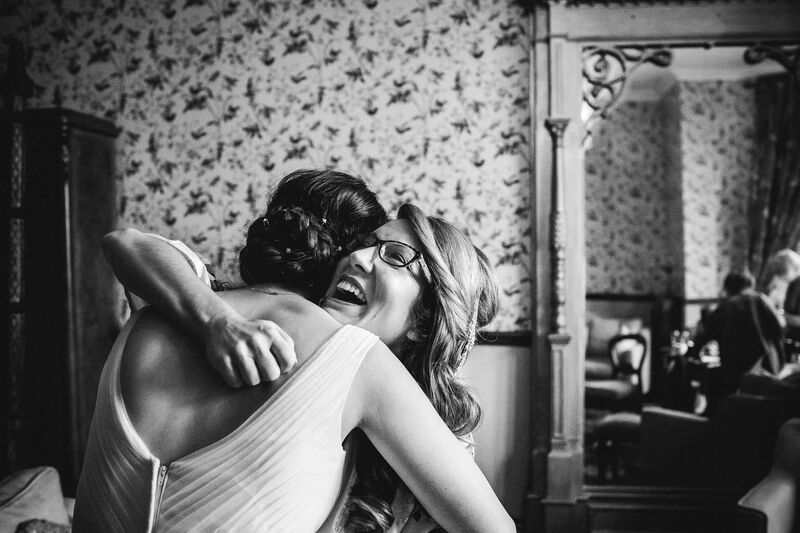 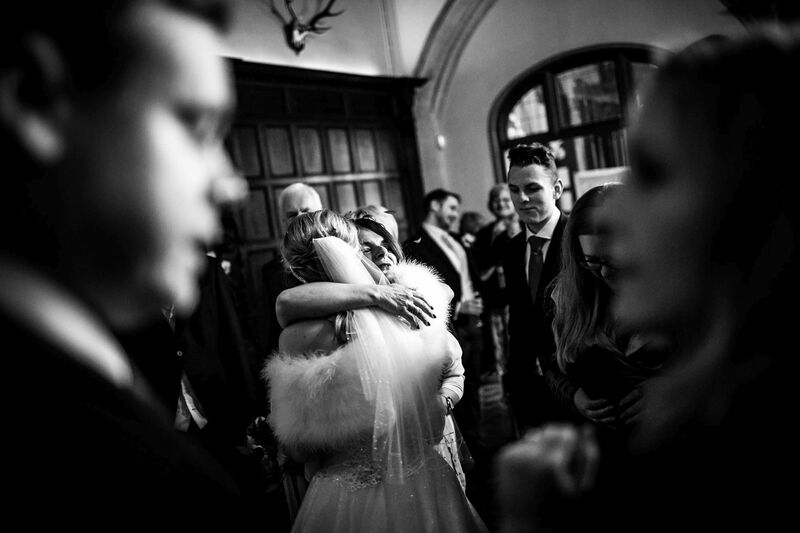 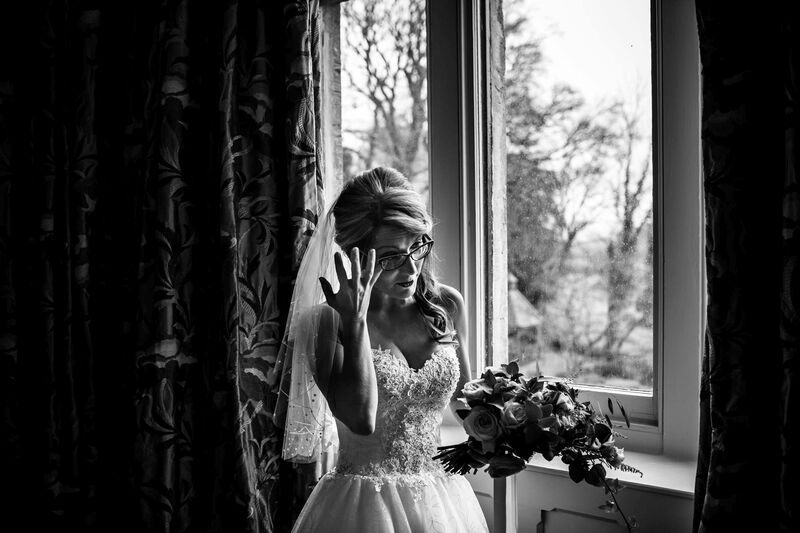 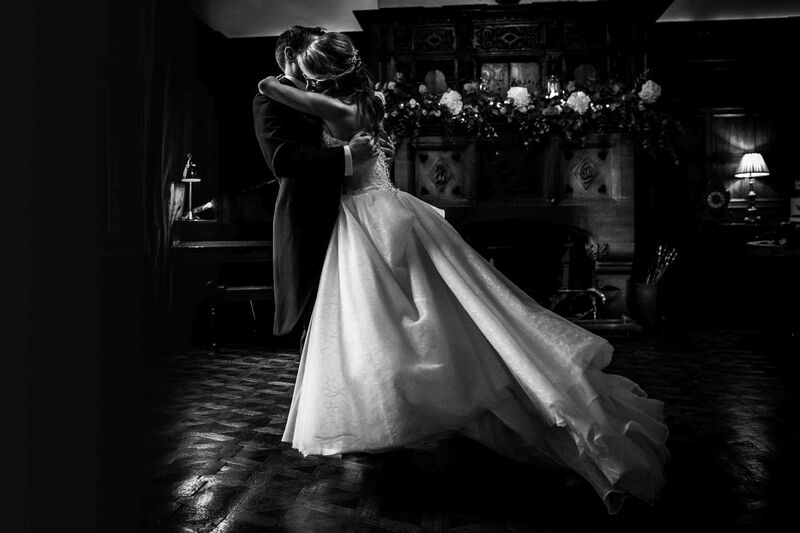 Luna weddings provides Huntsham Court wedding photography and wedding photography in Devon. 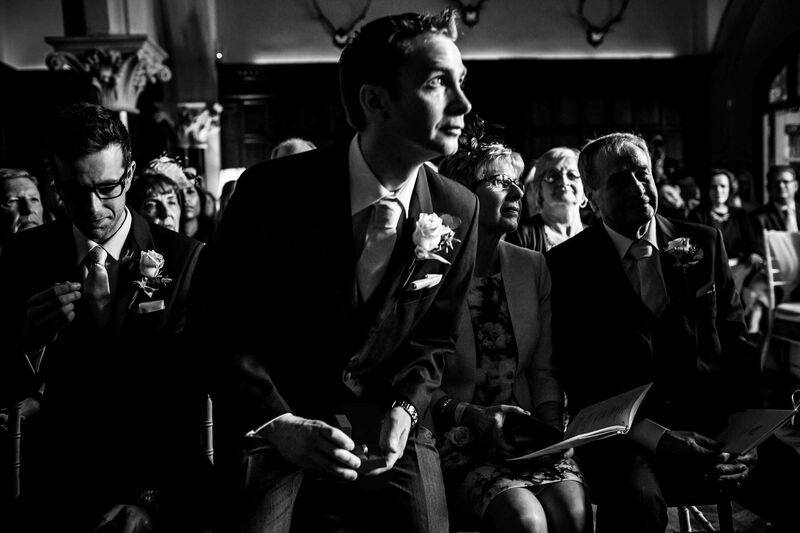 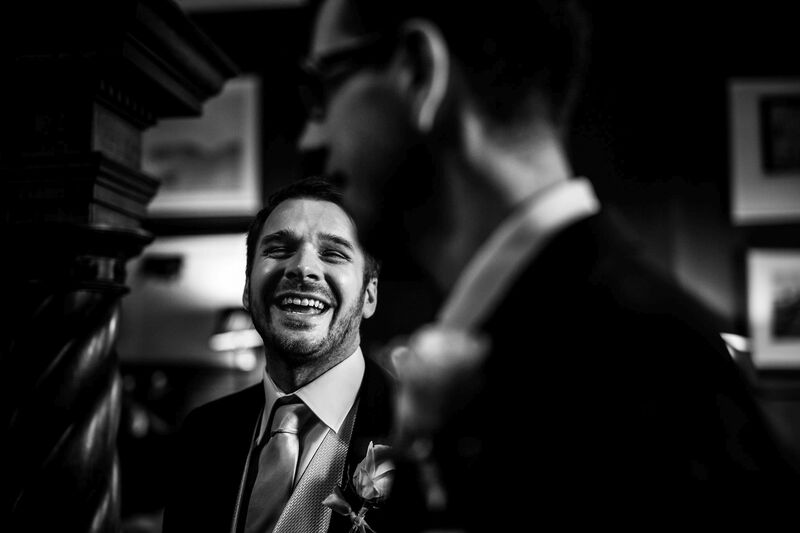 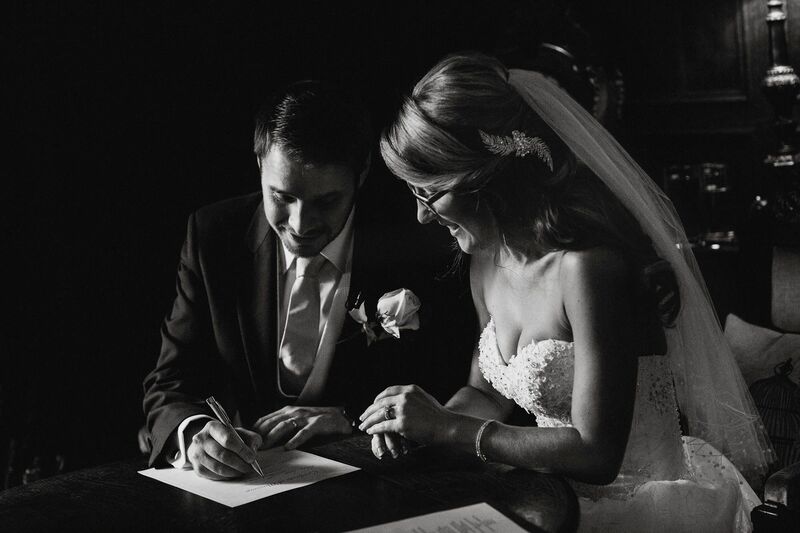 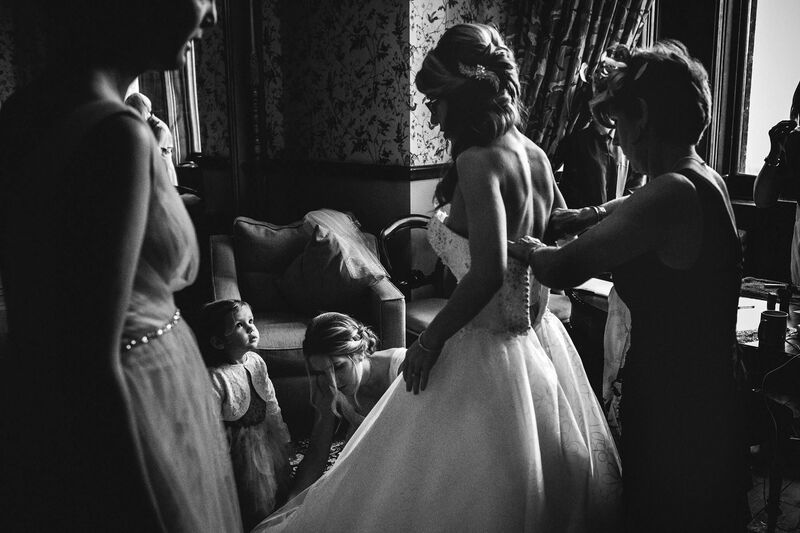 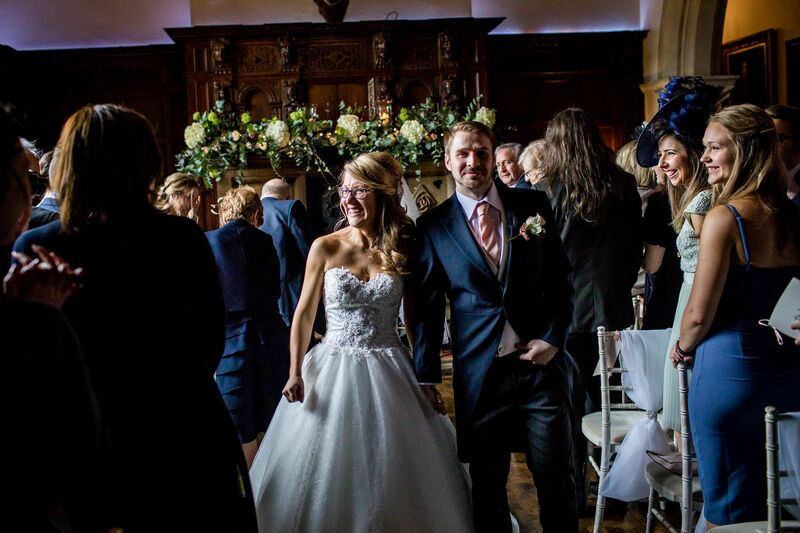 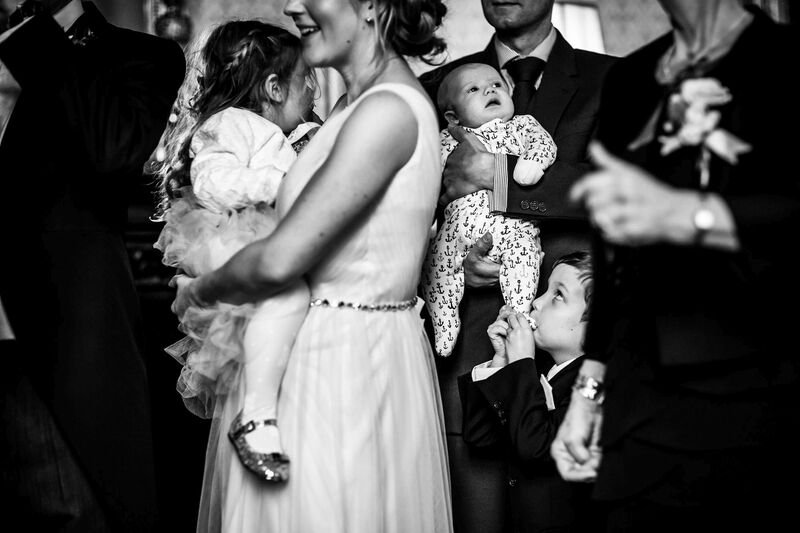 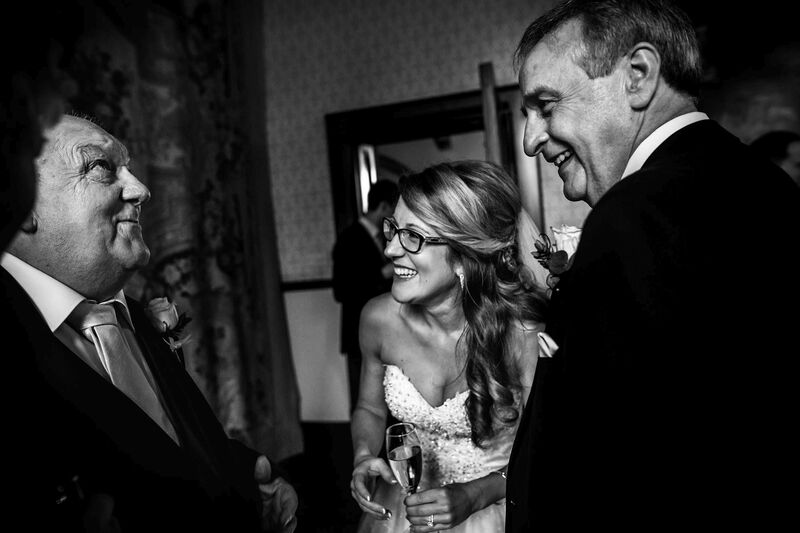 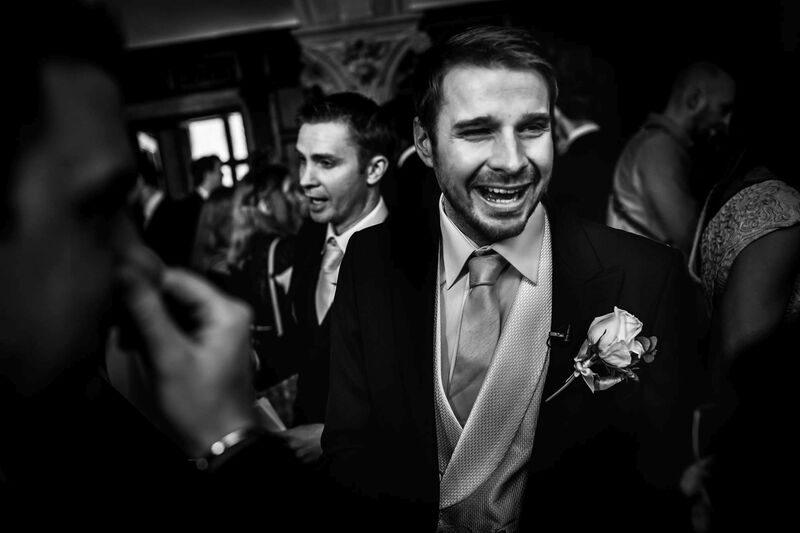 We work all over the UK as recommended wedding photographers. 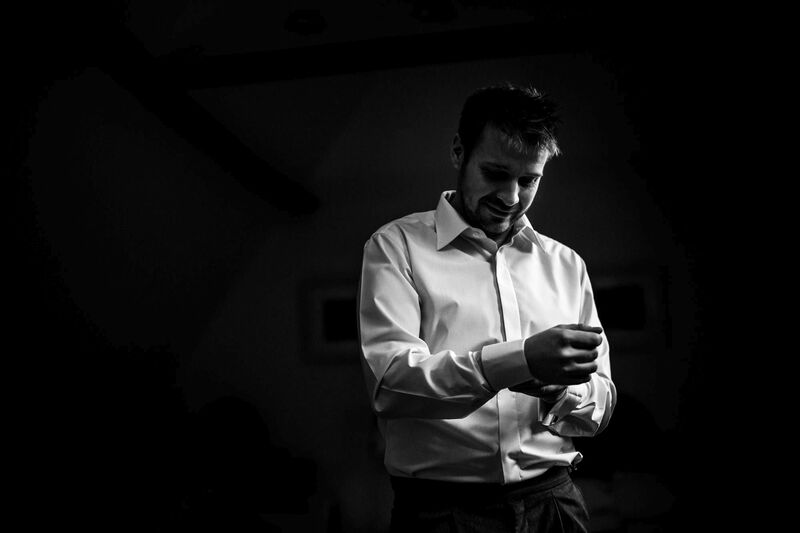 On Instagram? 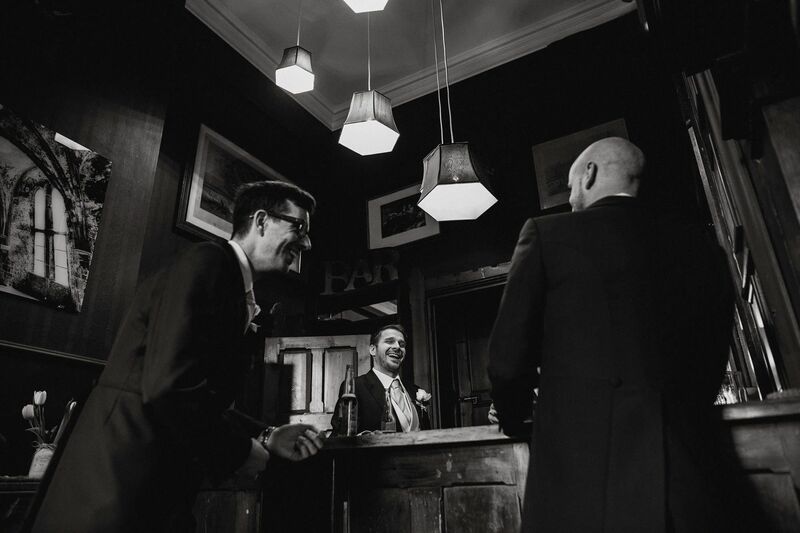 We’re big fans – you can check our our account here.